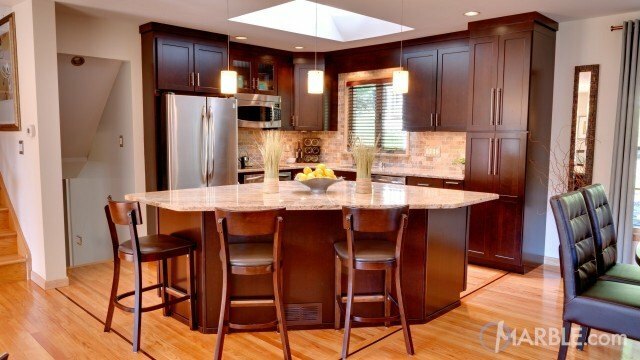 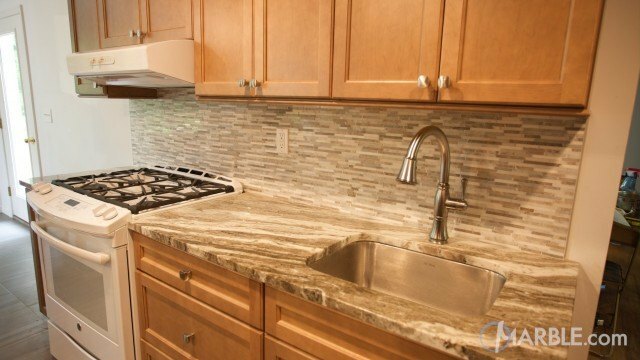 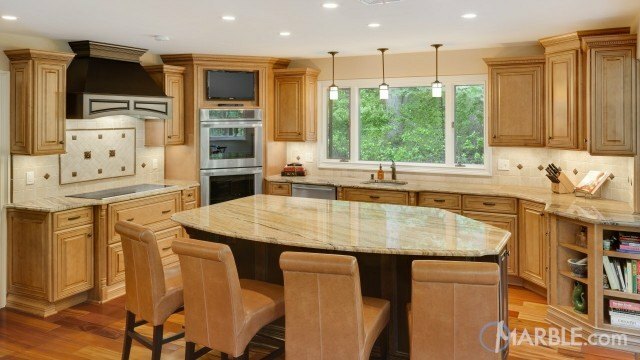 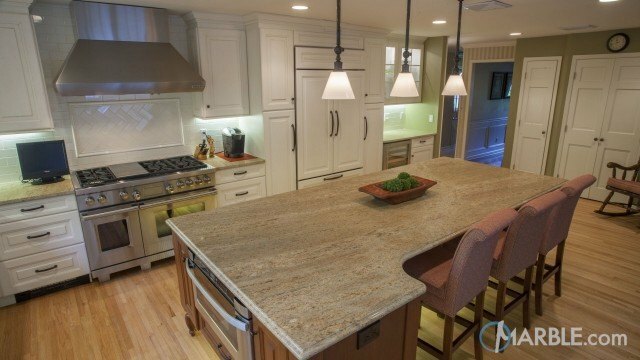 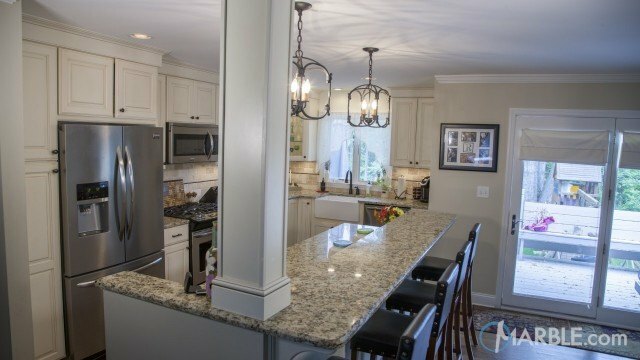 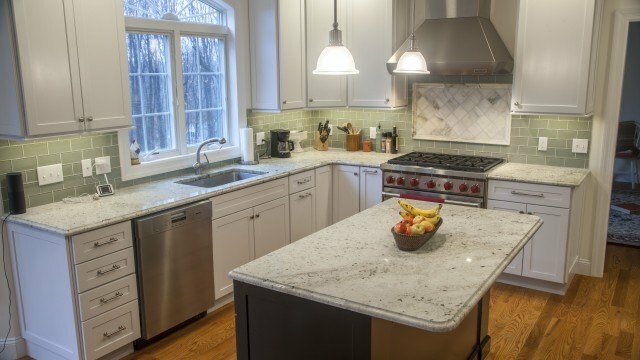 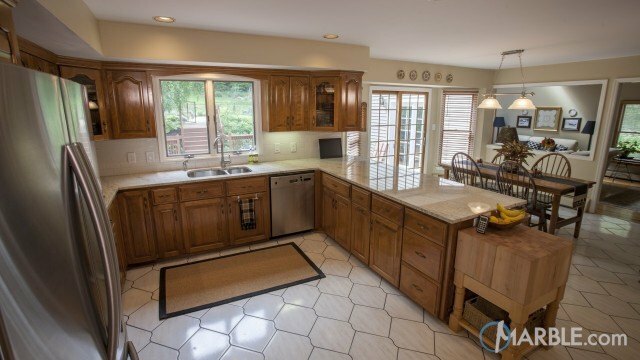 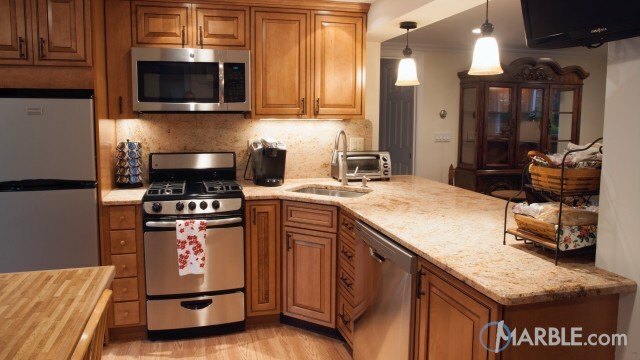 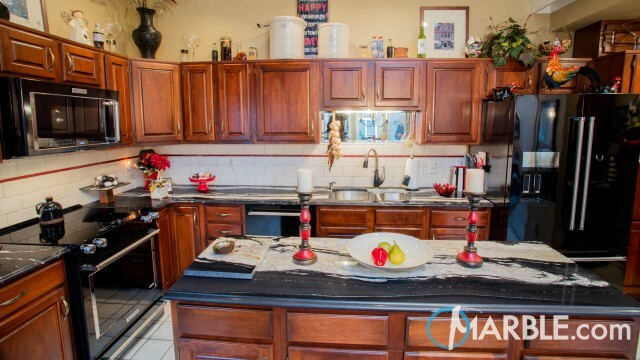 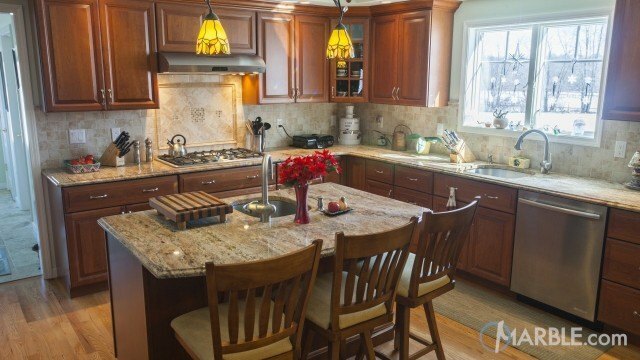 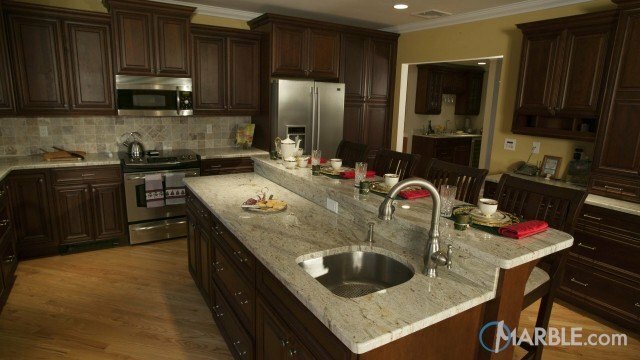 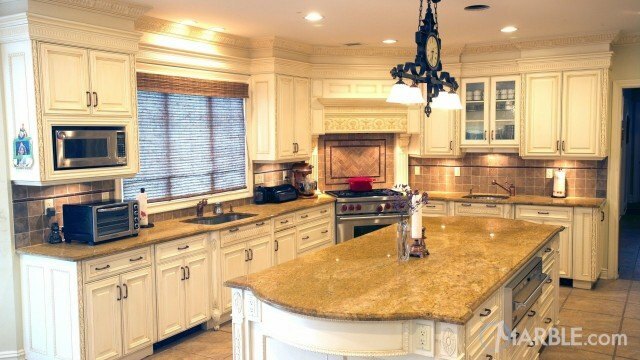 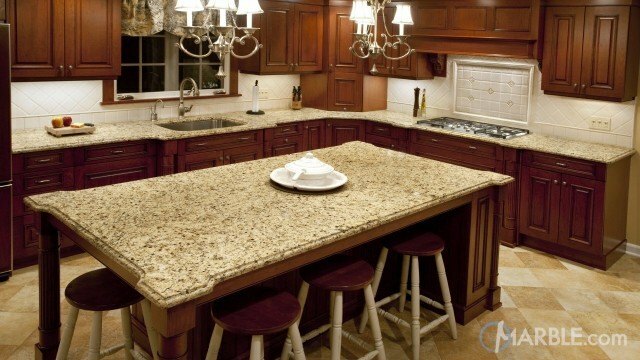 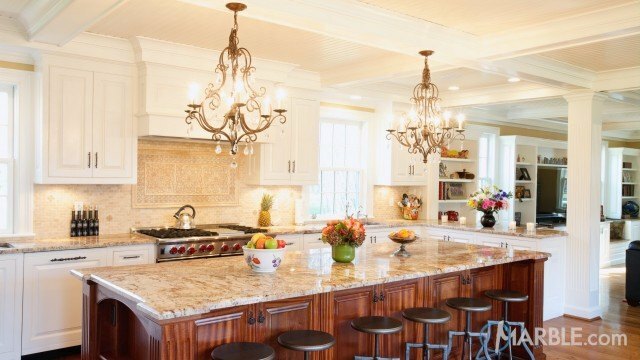 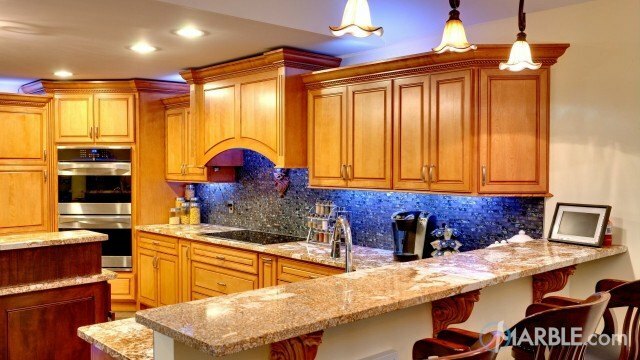 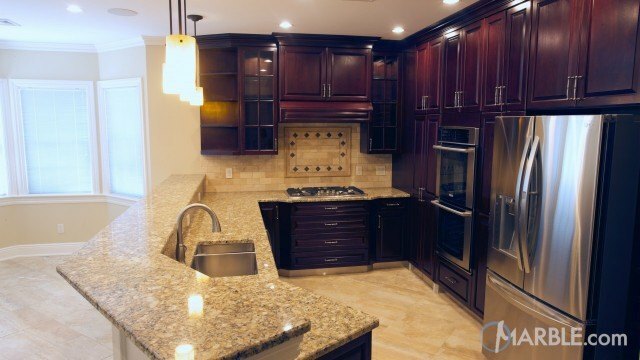 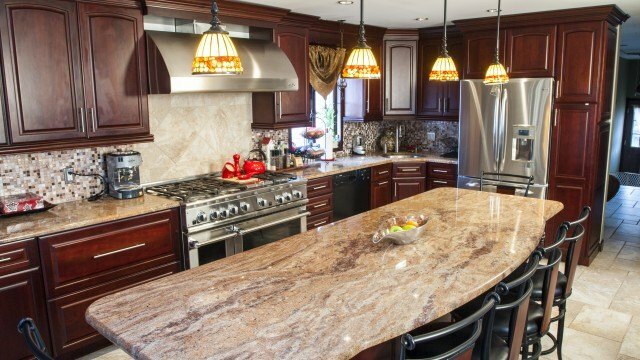 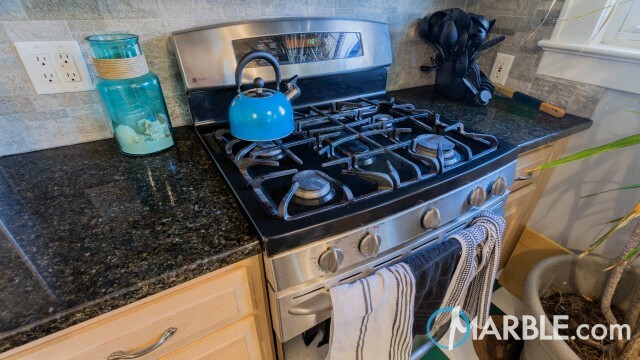 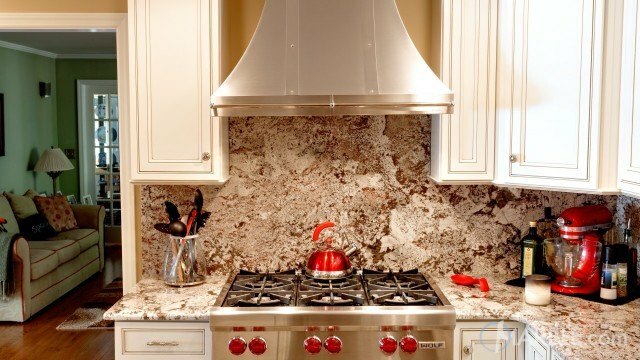 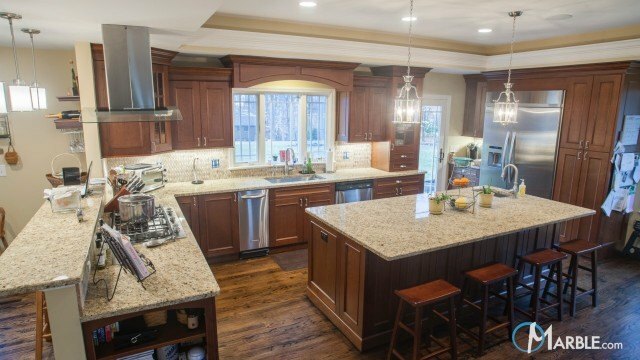 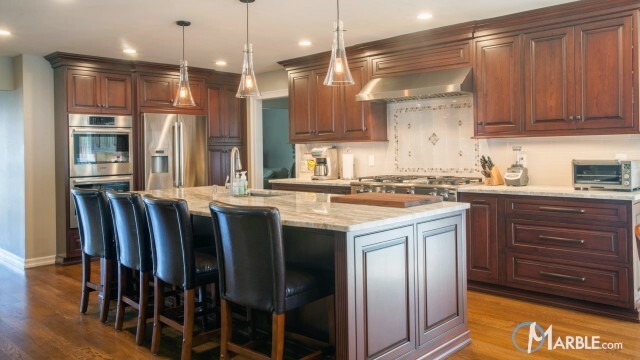 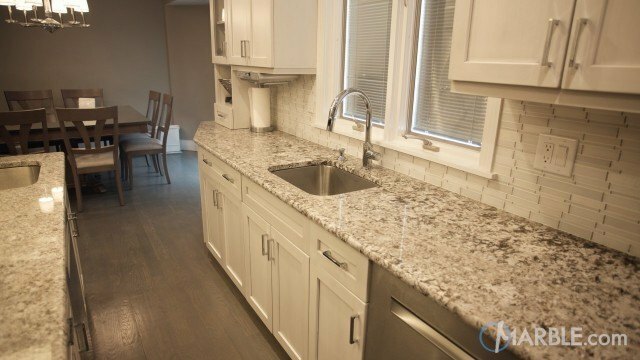 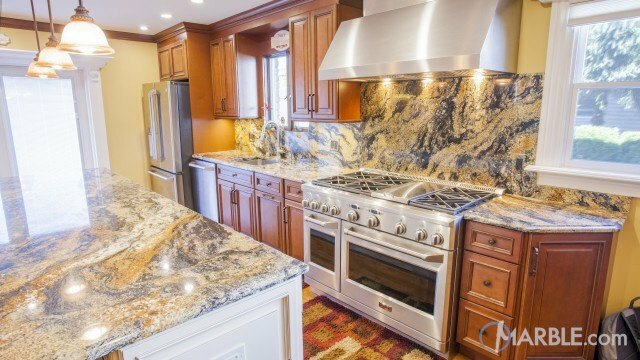 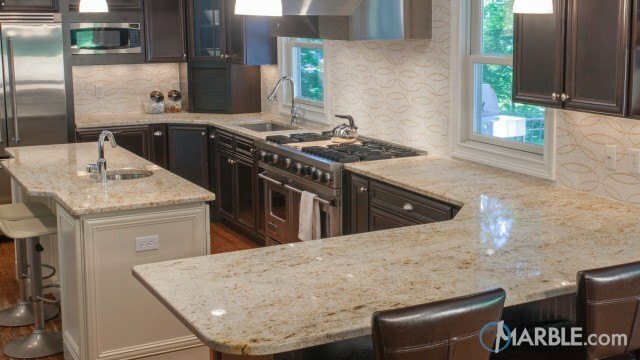 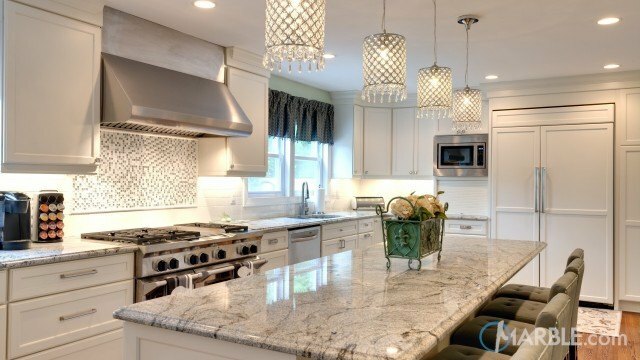 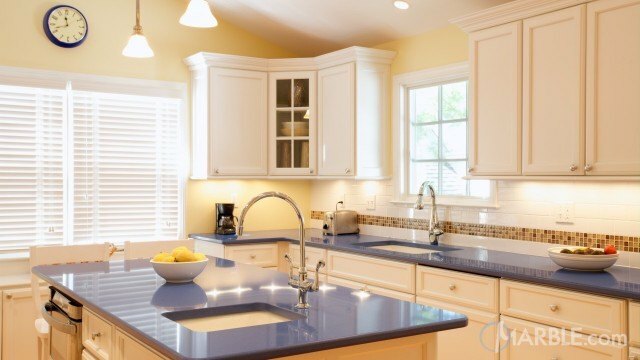 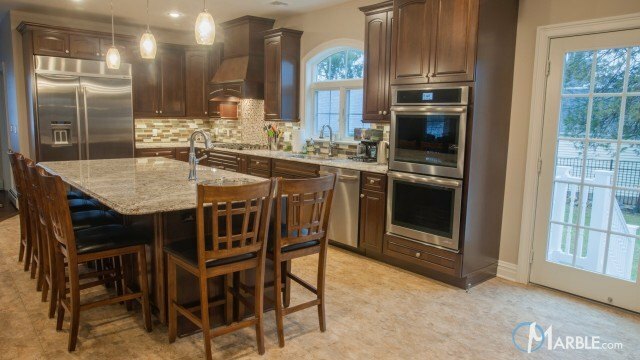 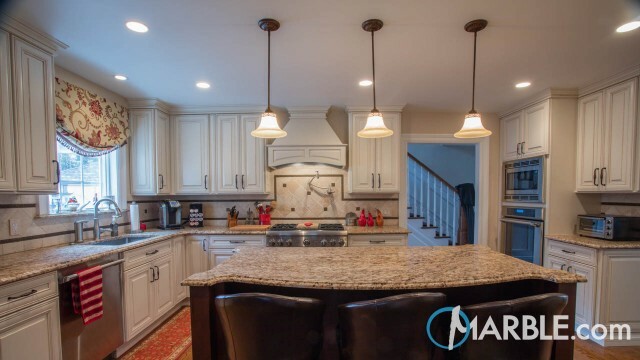 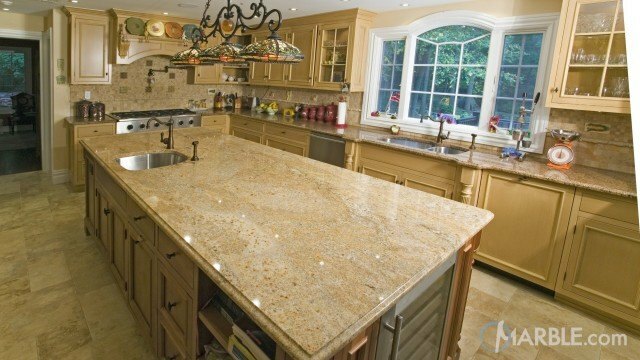 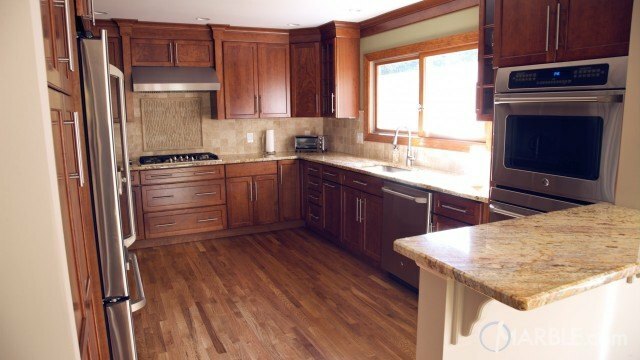 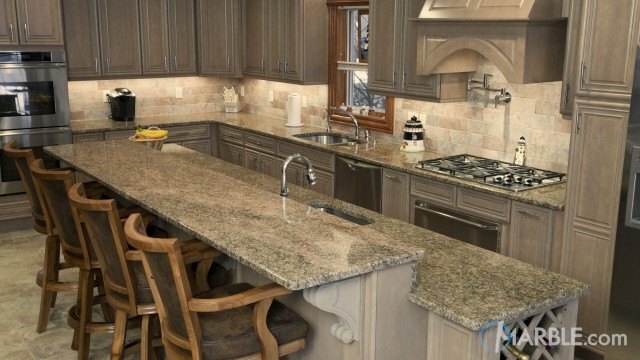 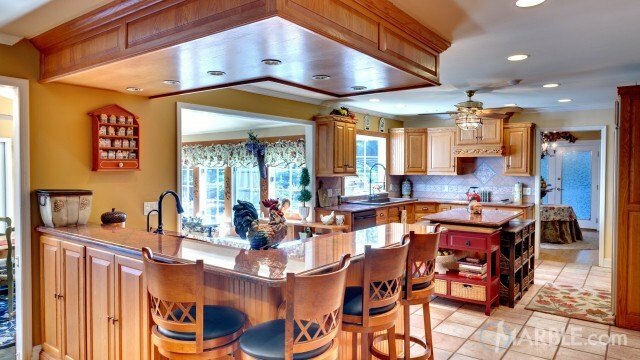 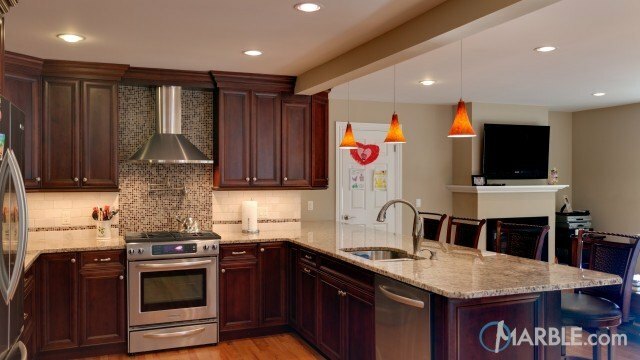 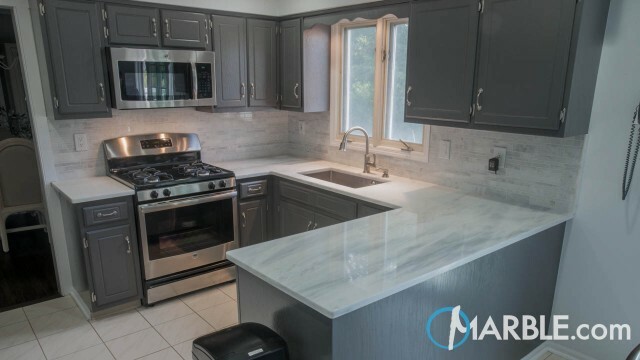 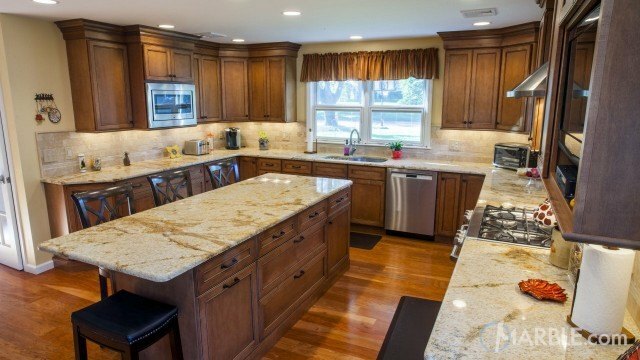 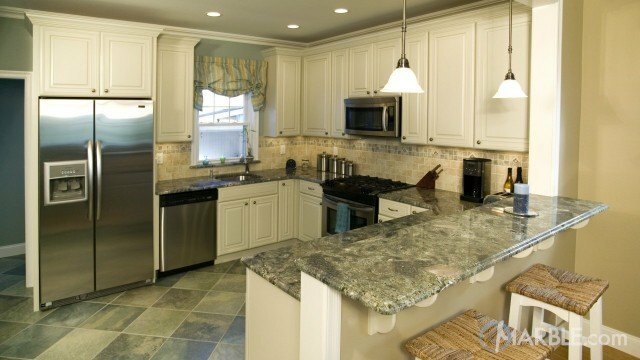 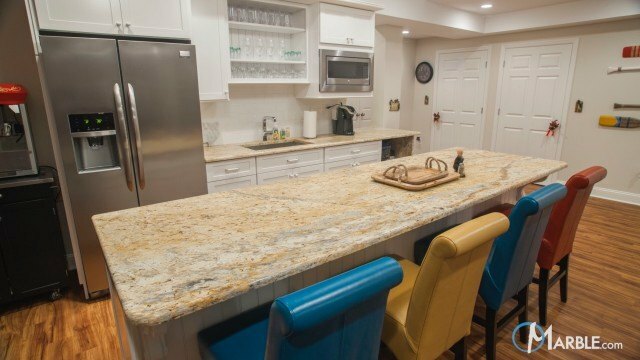 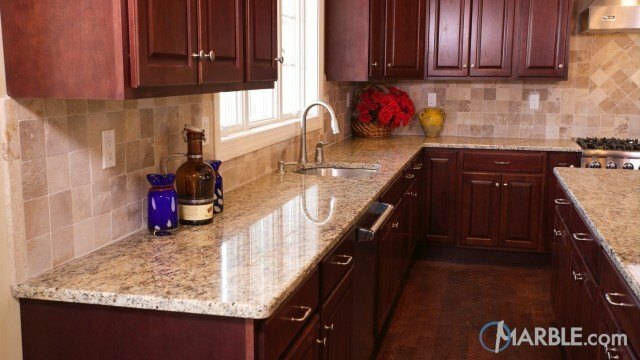 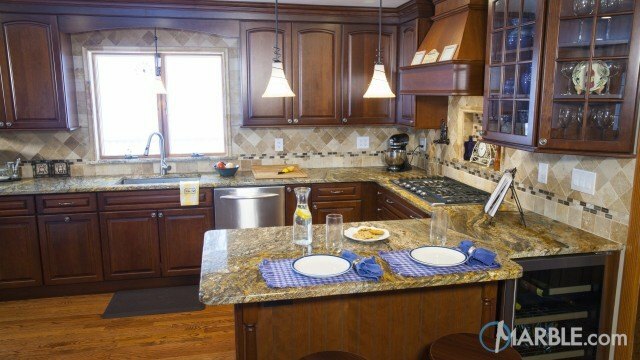 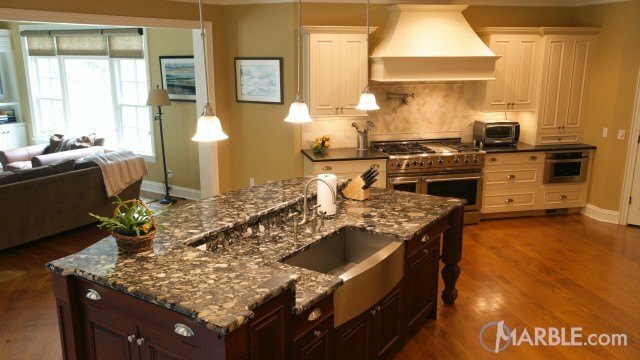 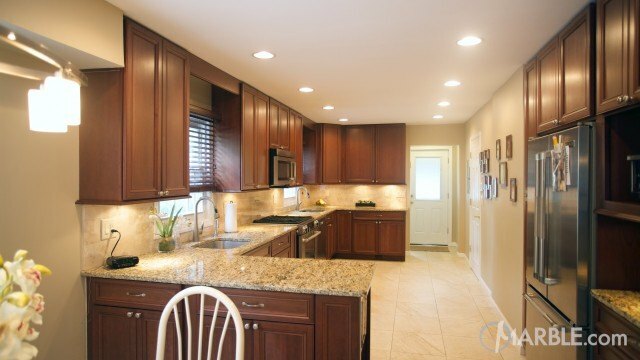 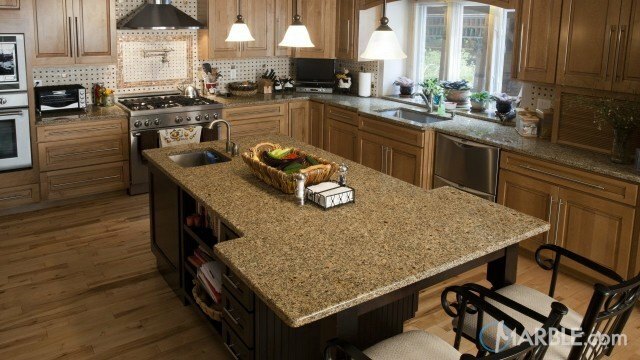 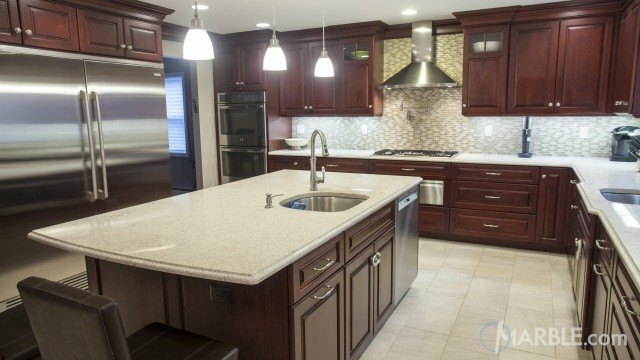 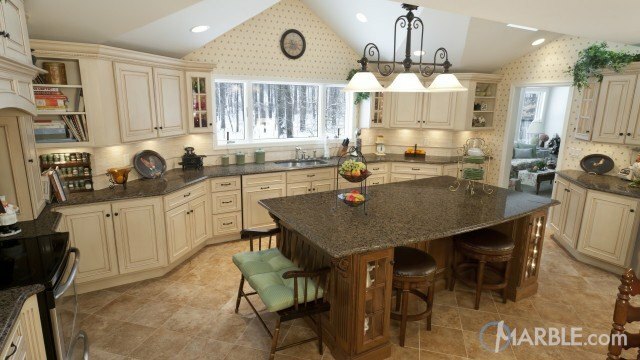 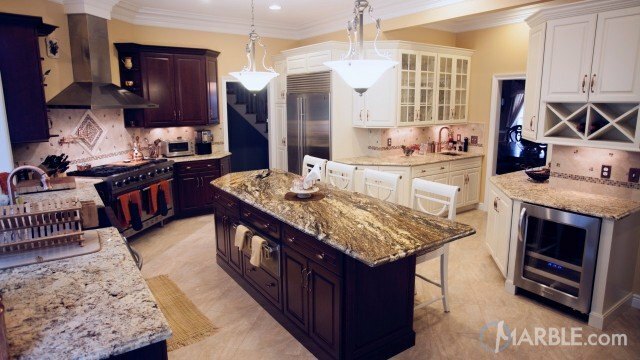 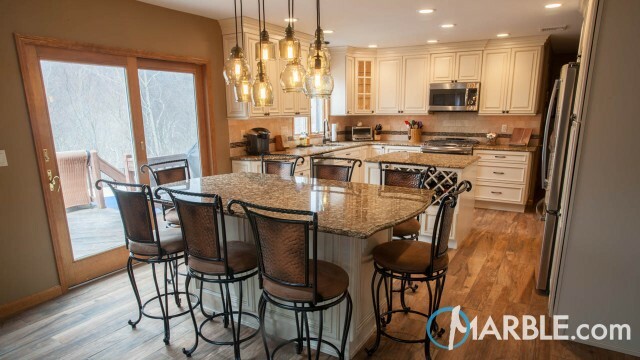 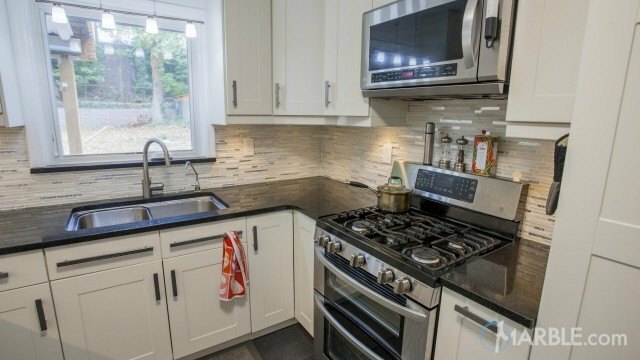 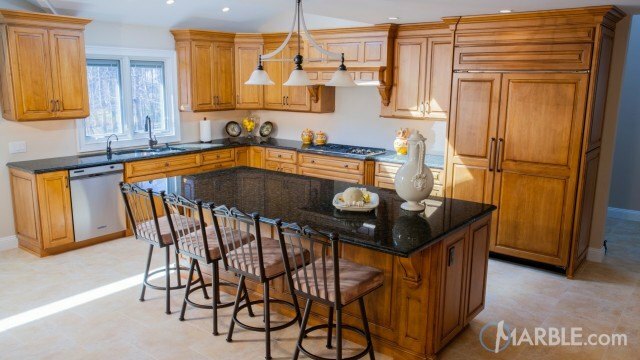 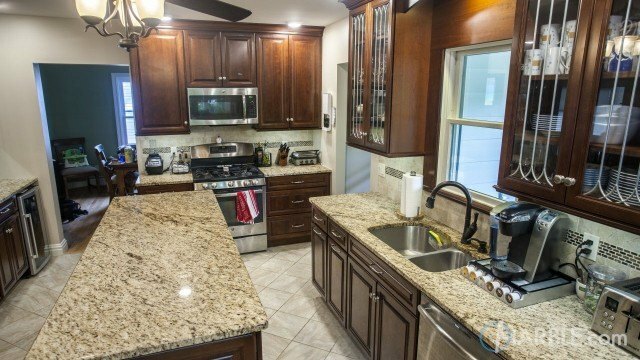 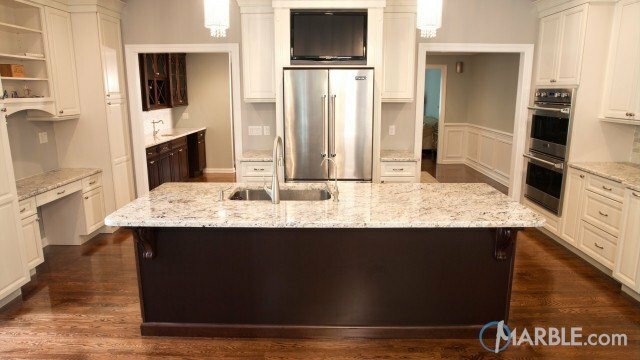 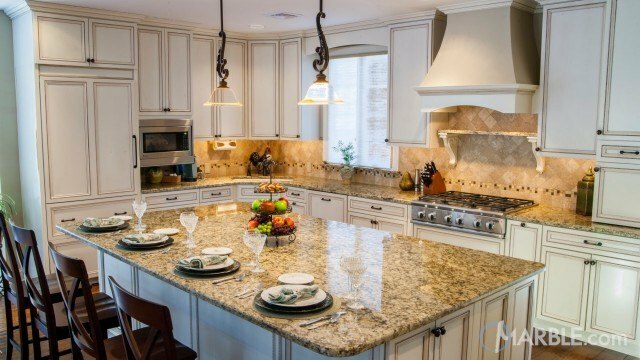 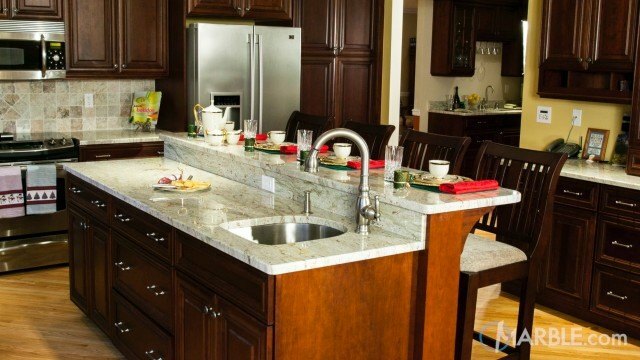 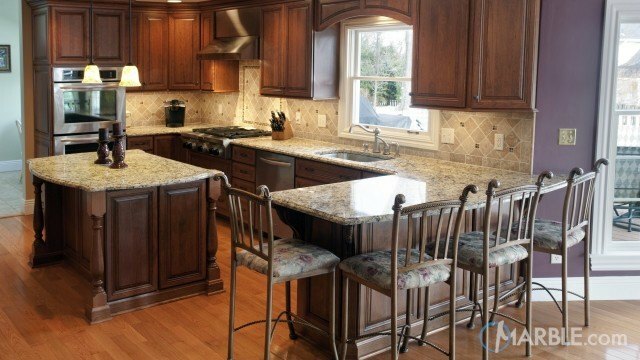 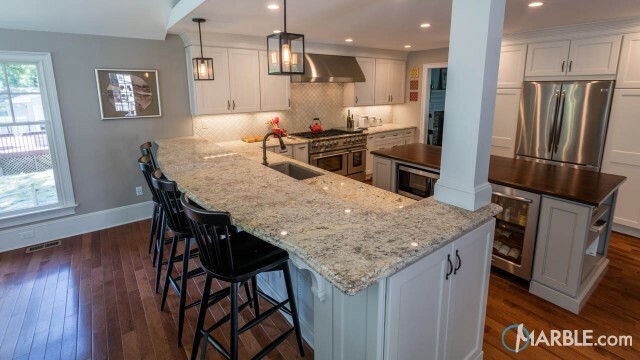 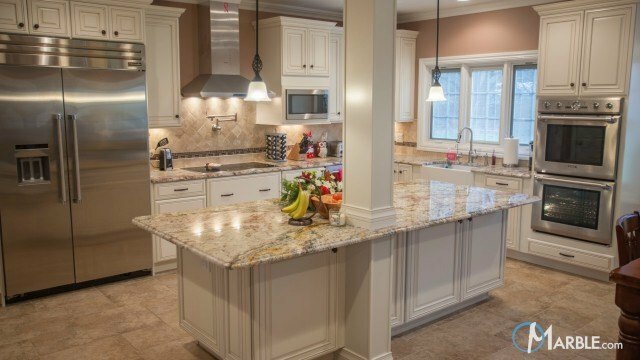 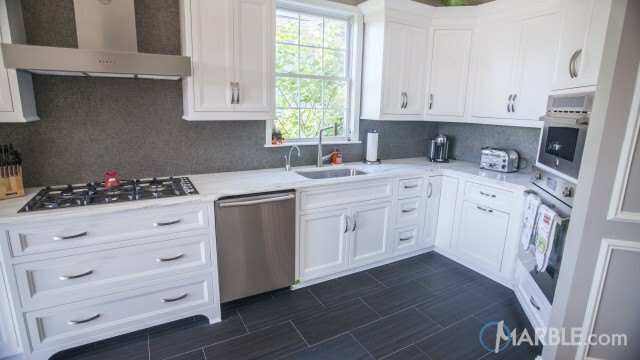 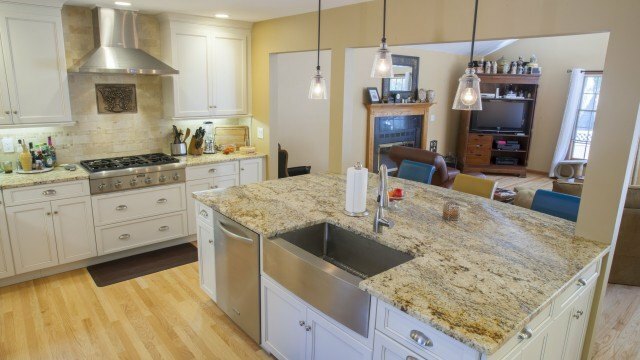 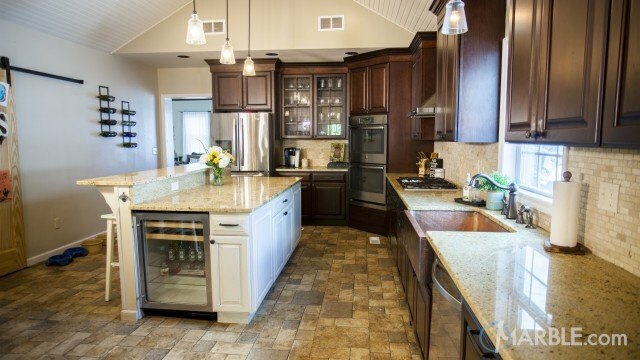 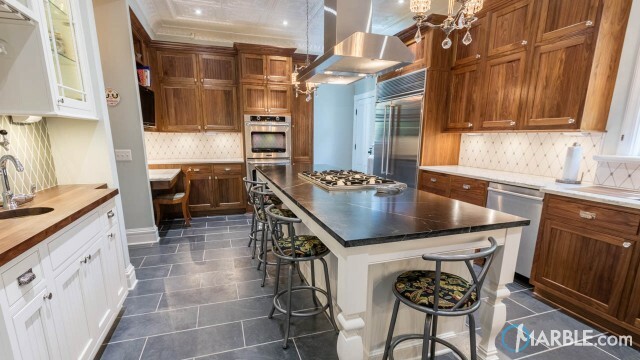 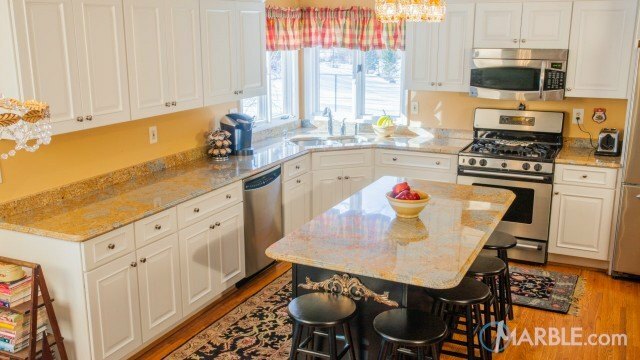 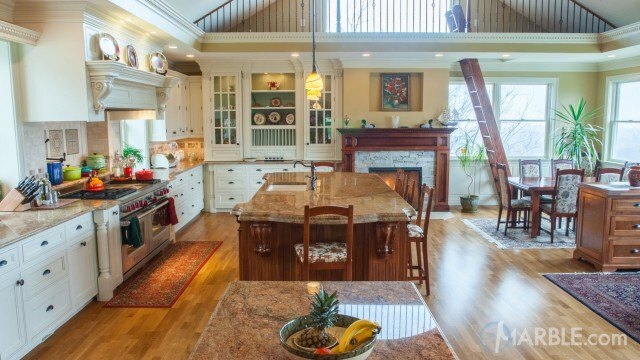 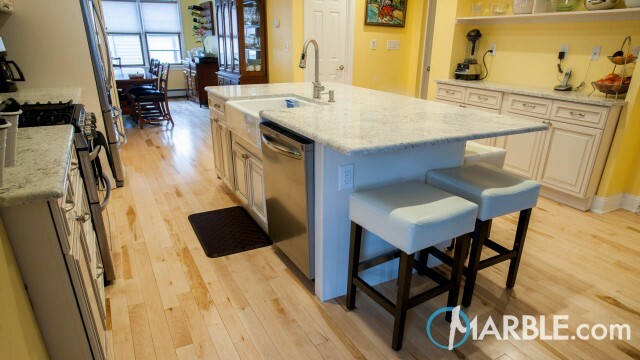 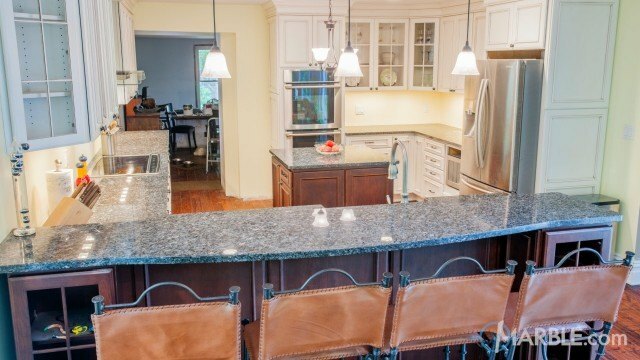 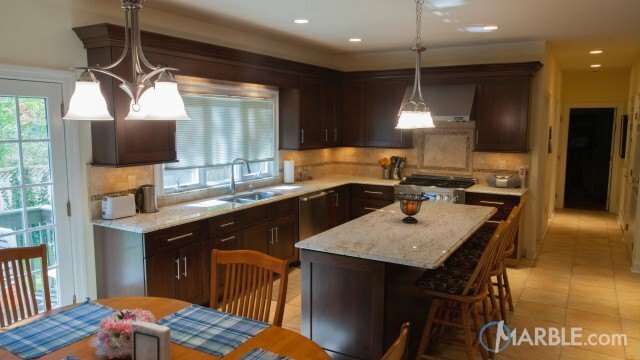 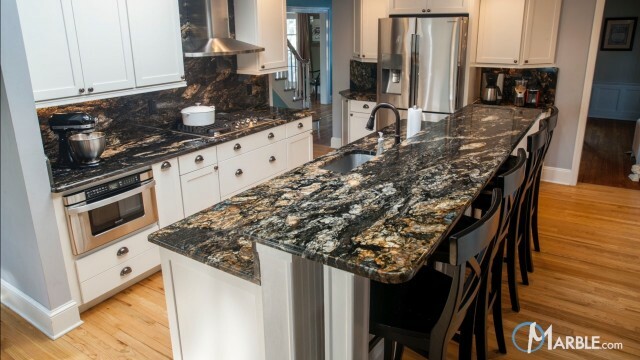 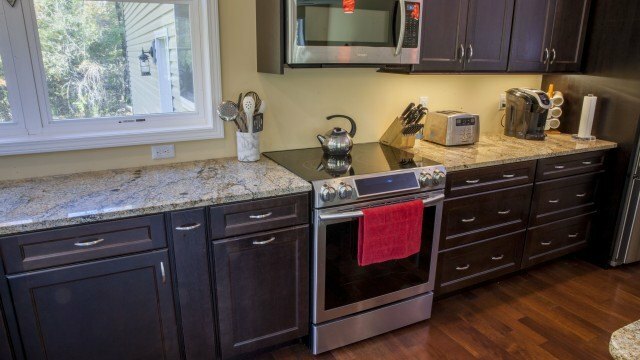 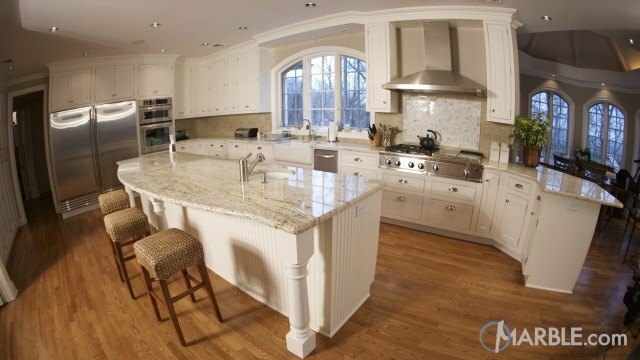 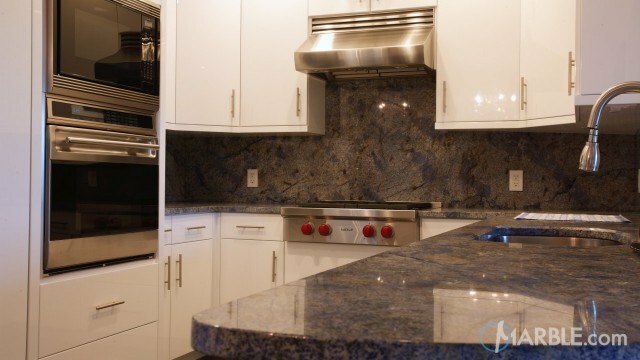 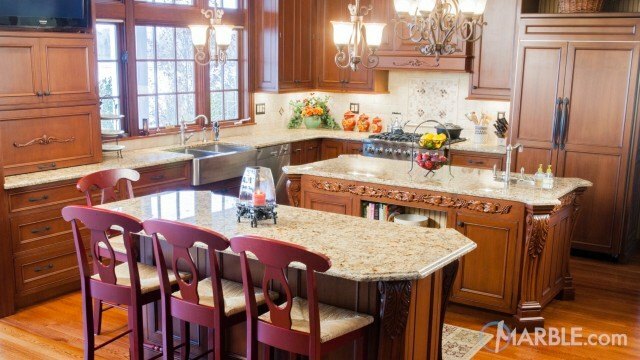 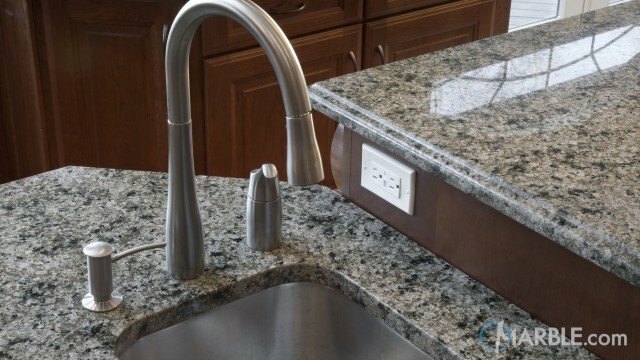 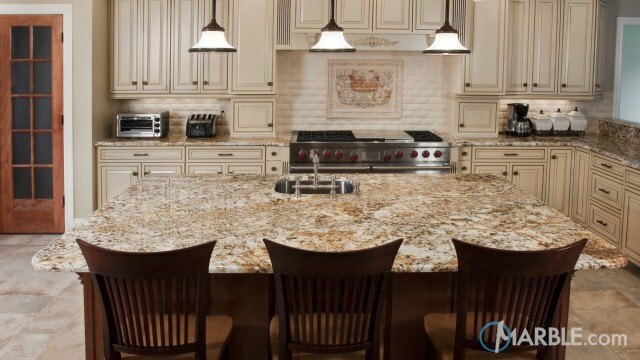 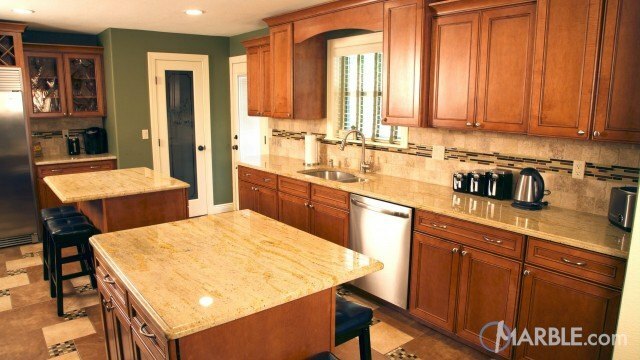 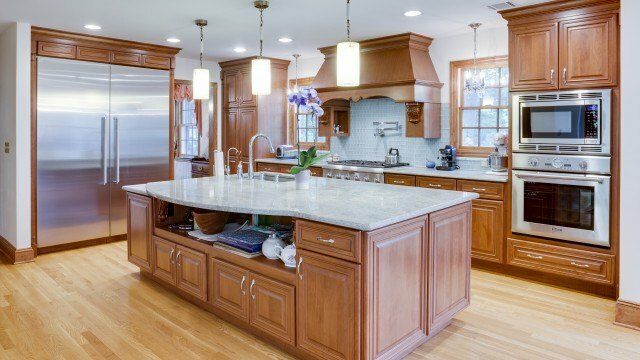 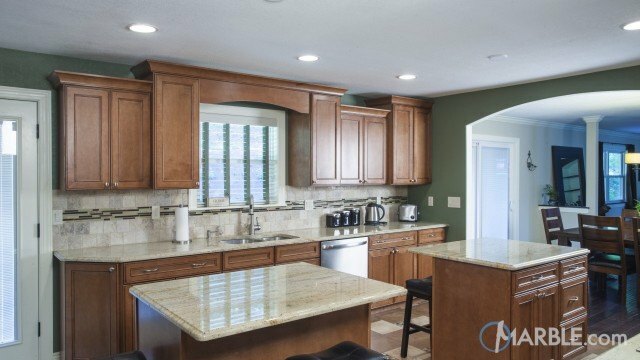 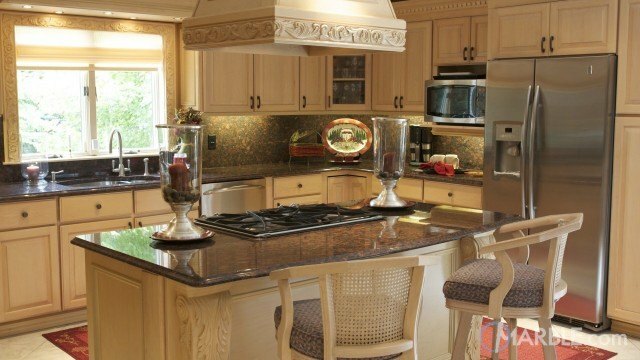 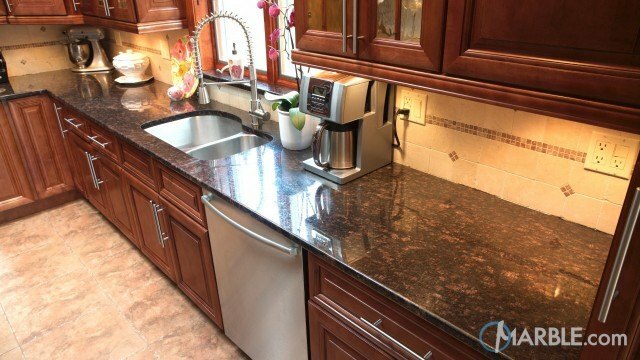 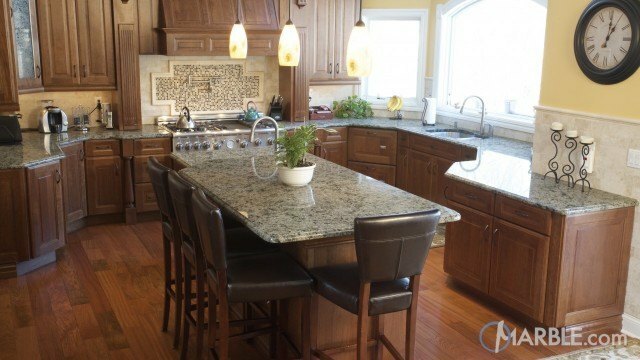 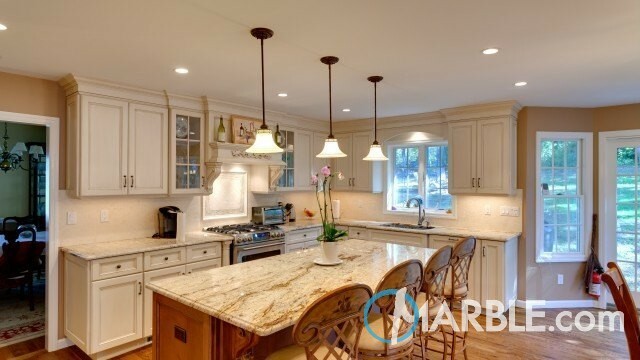 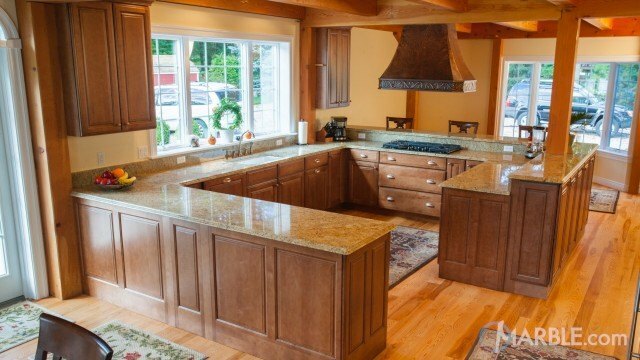 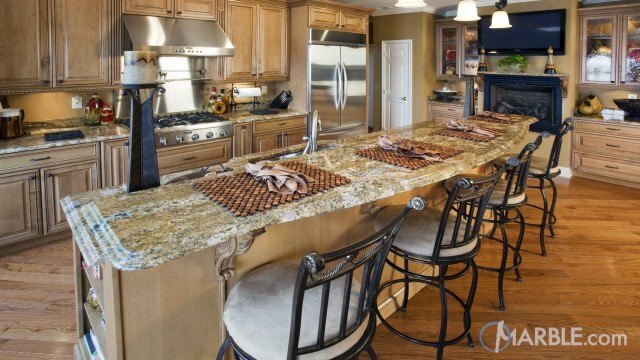 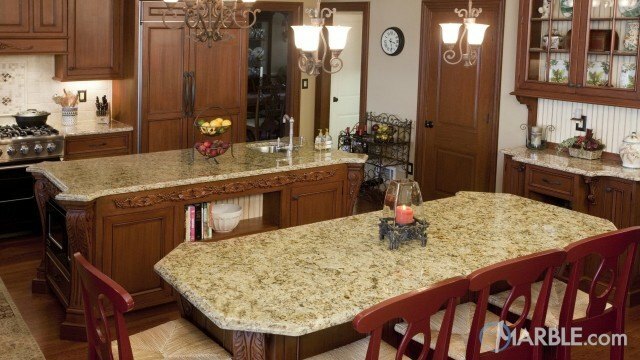 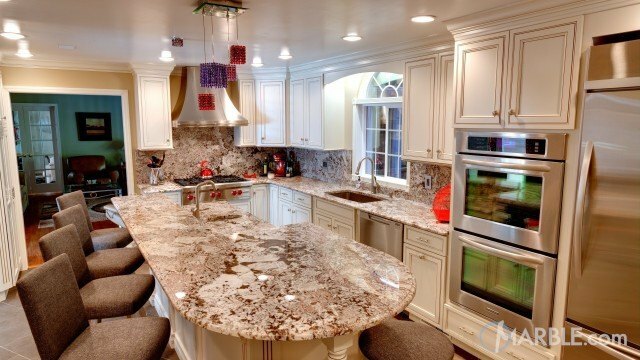 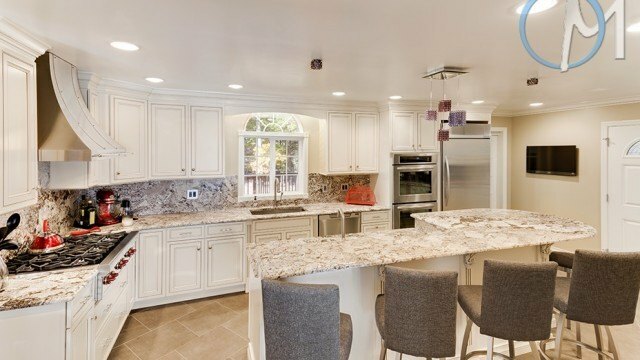 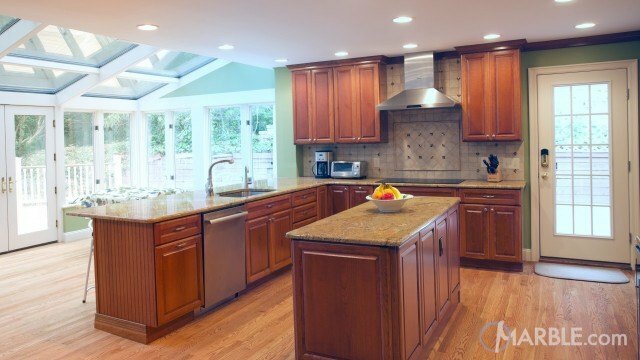 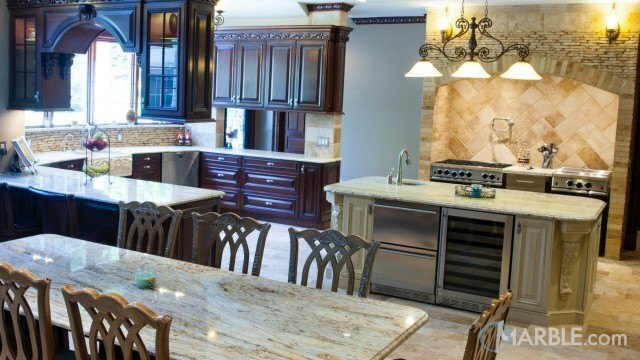 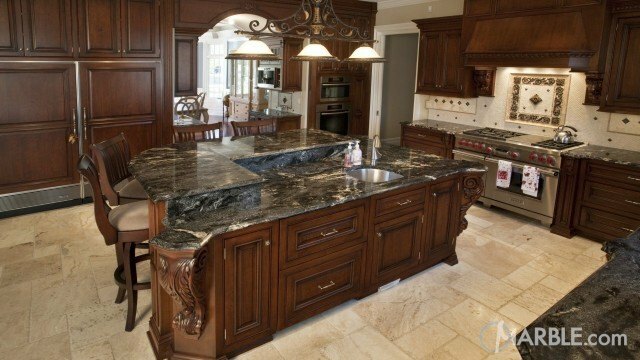 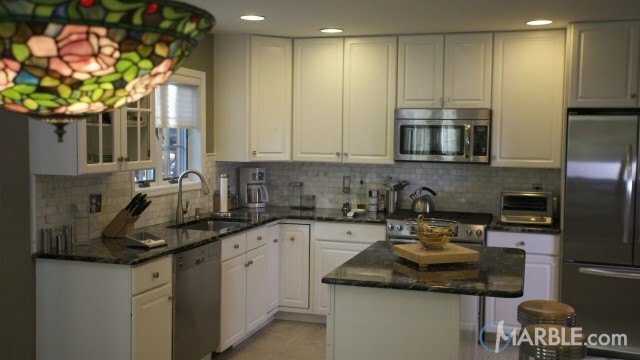 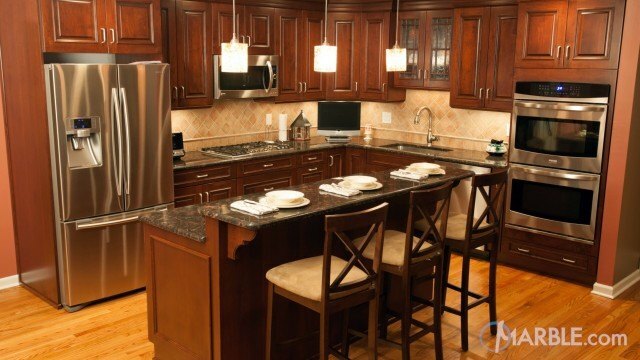 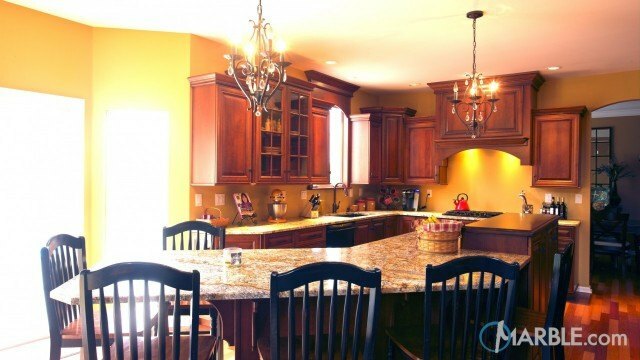 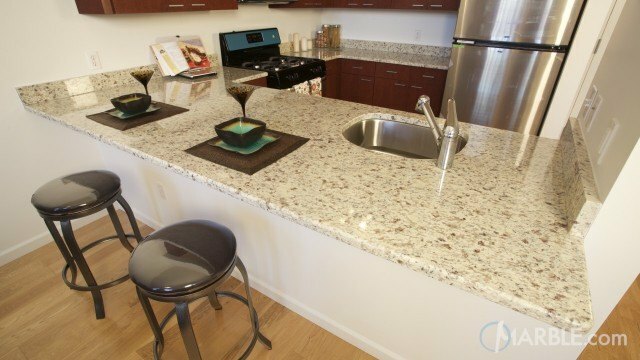 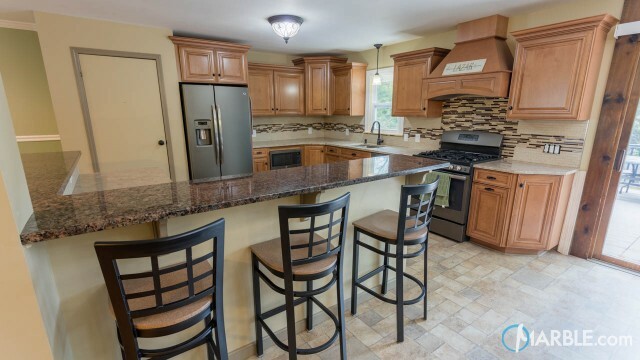 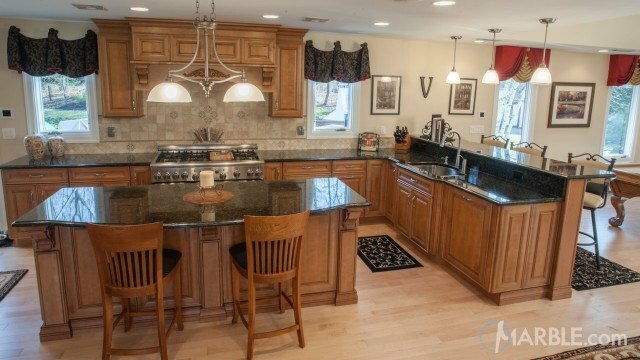 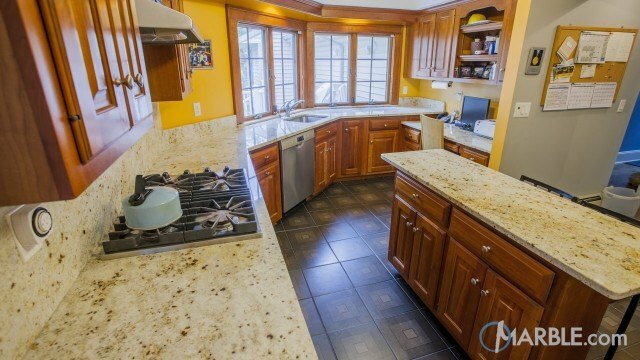 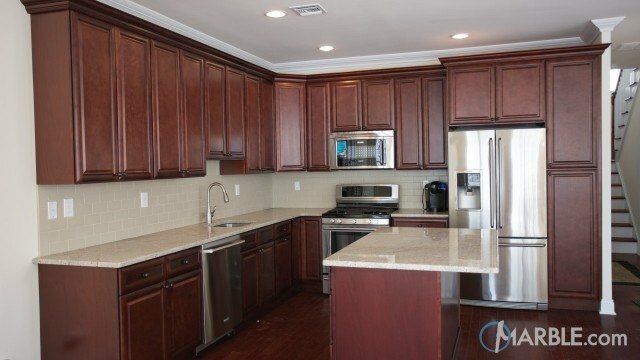 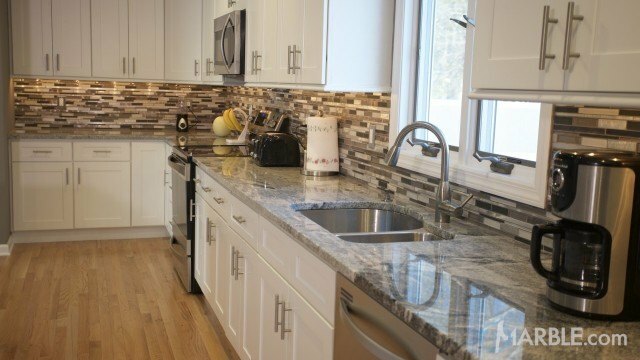 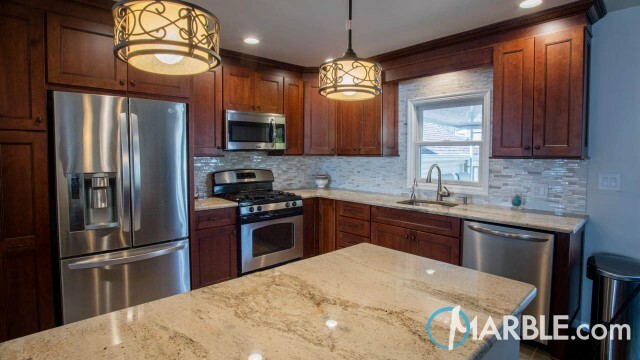 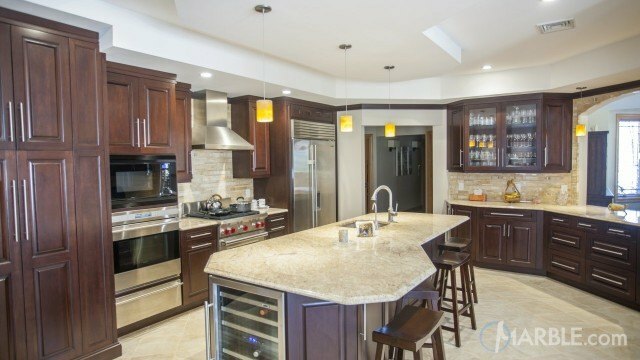 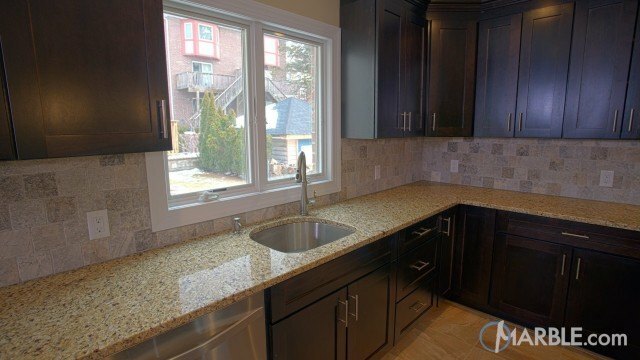 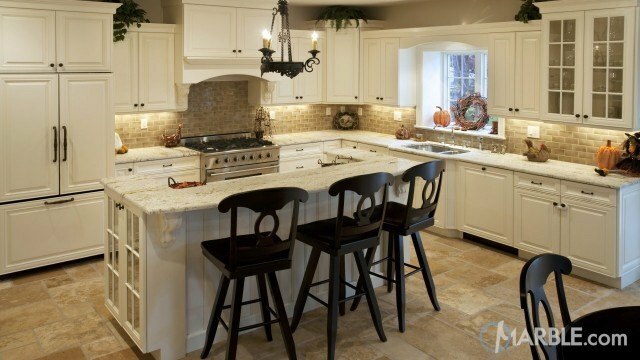 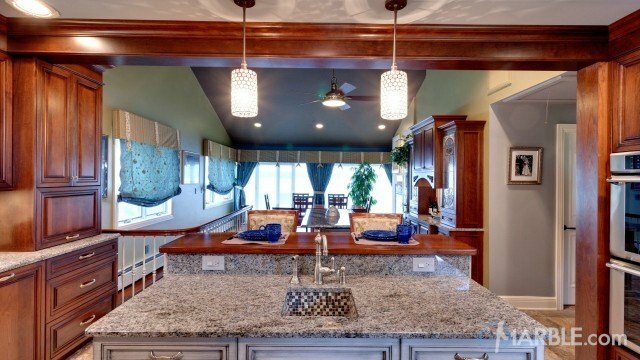 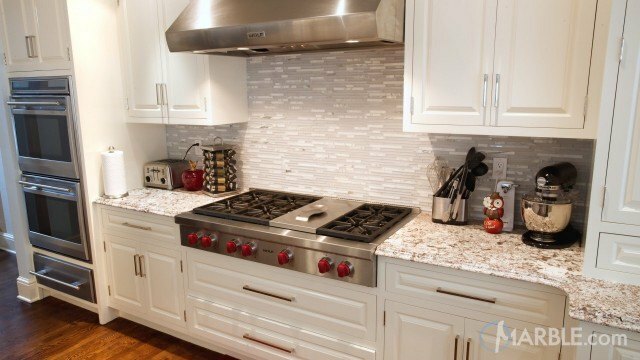 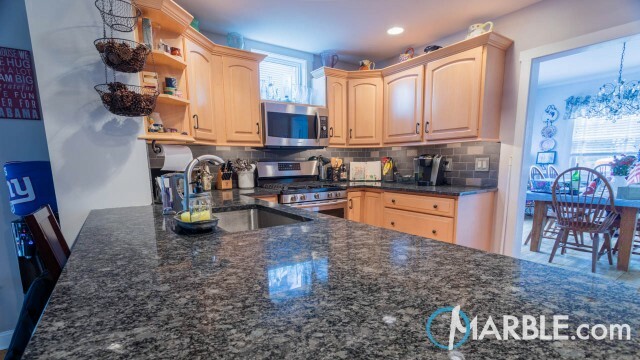 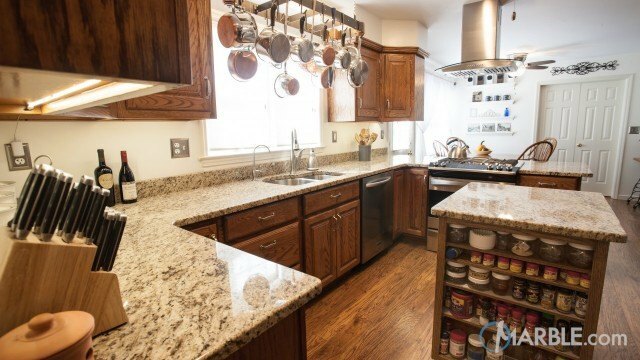 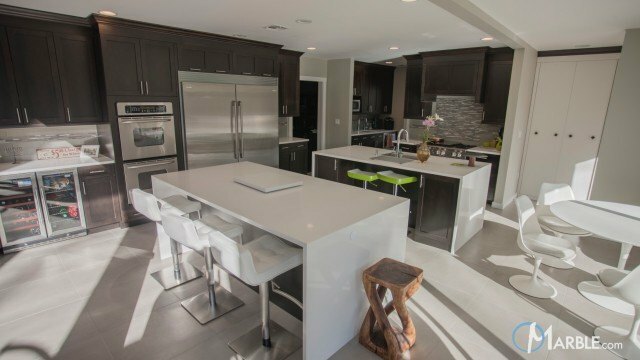 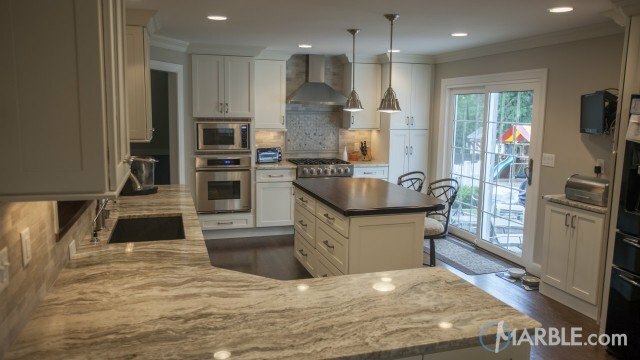 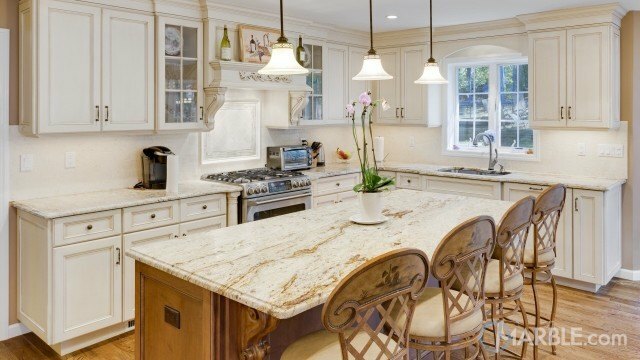 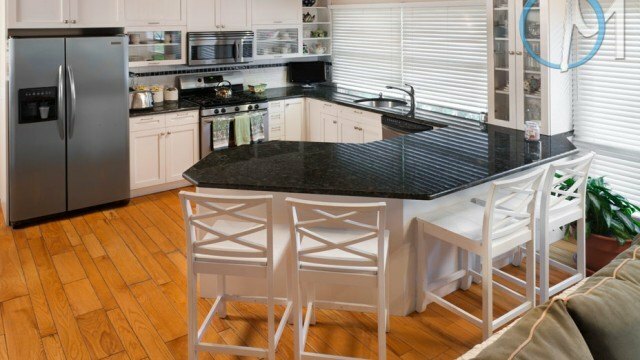 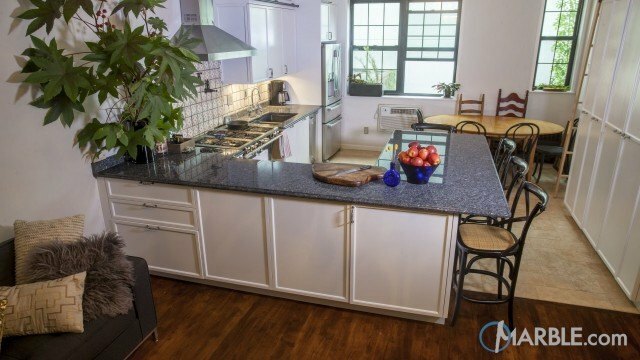 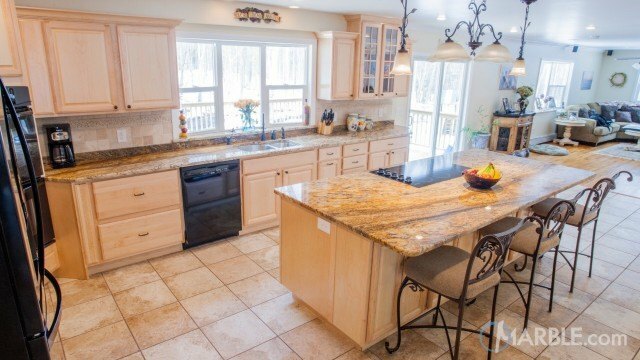 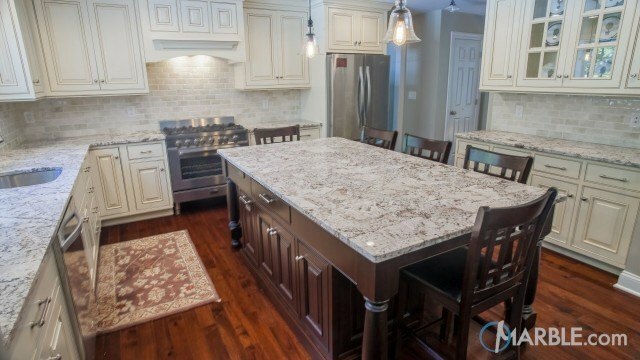 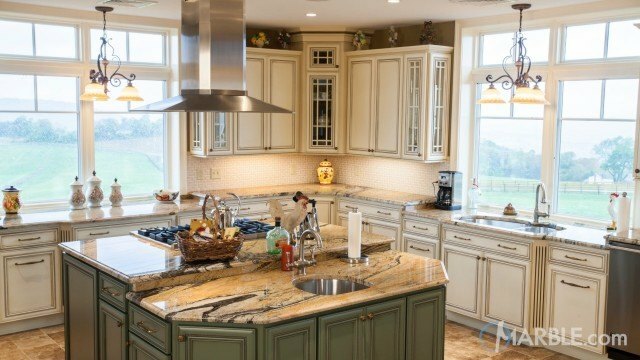 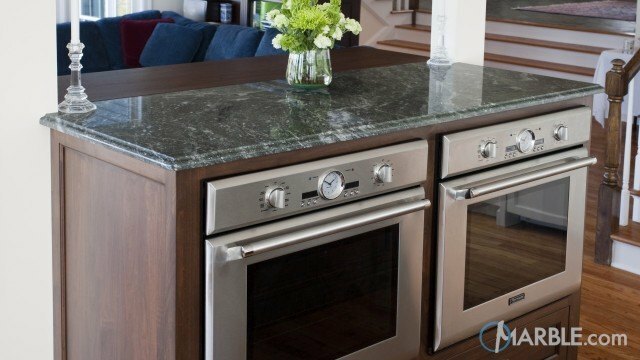 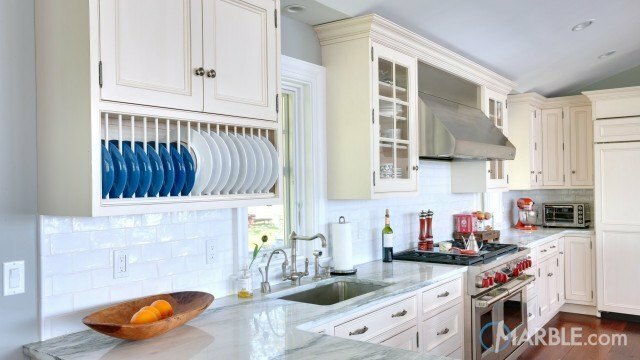 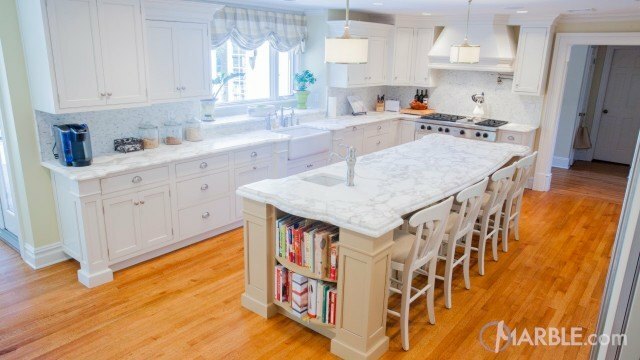 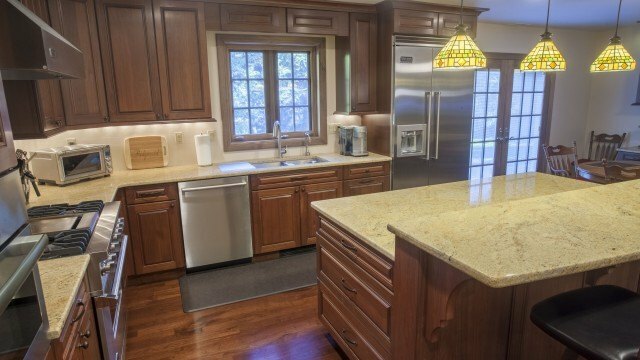 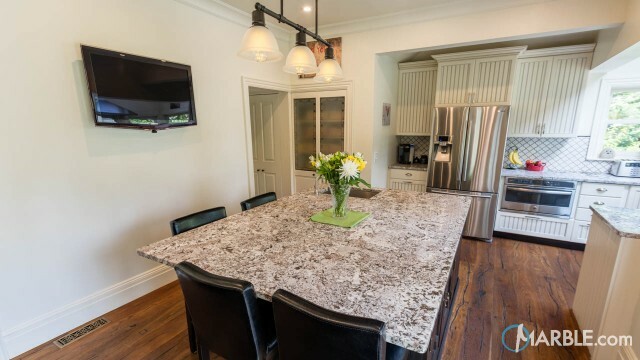 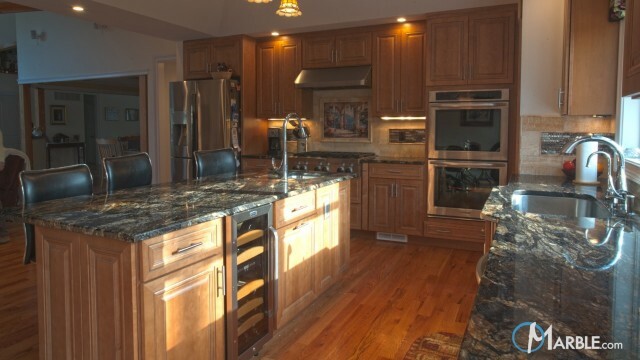 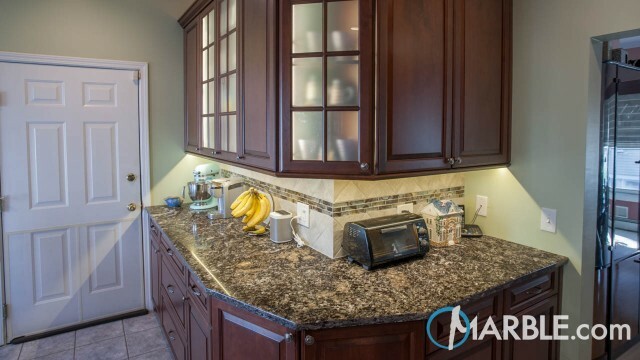 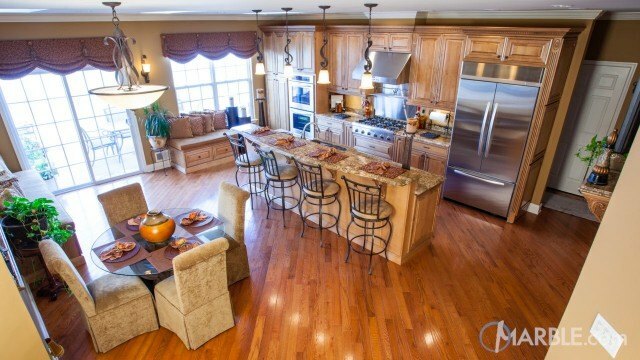 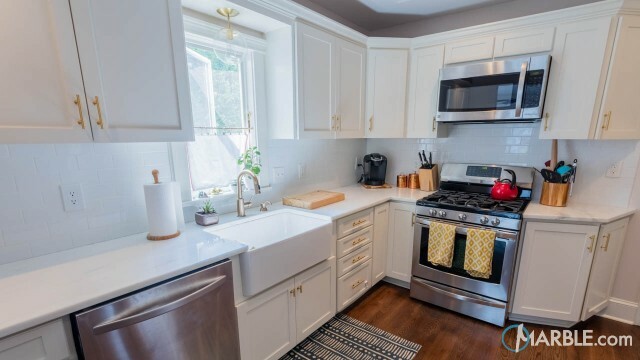 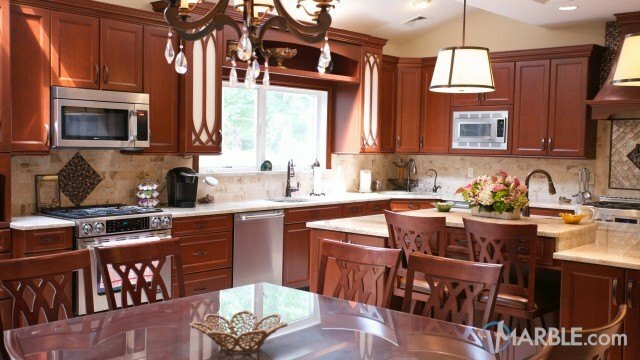 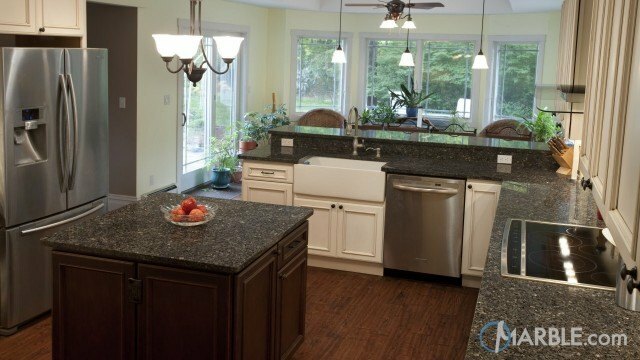 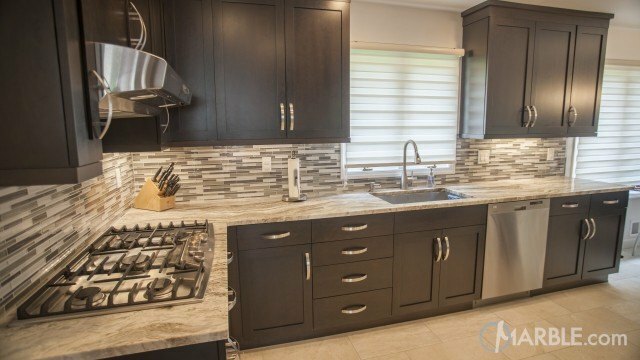 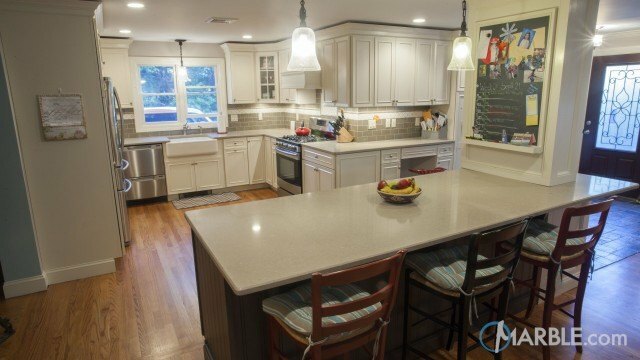 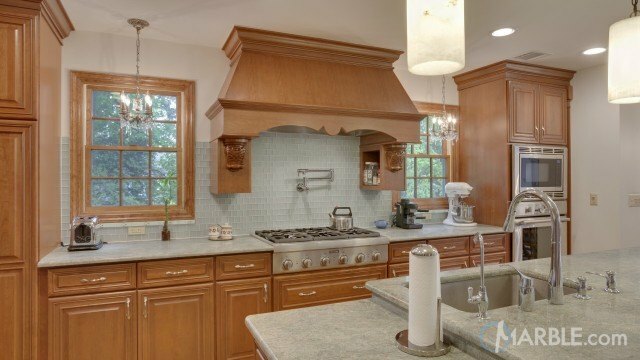 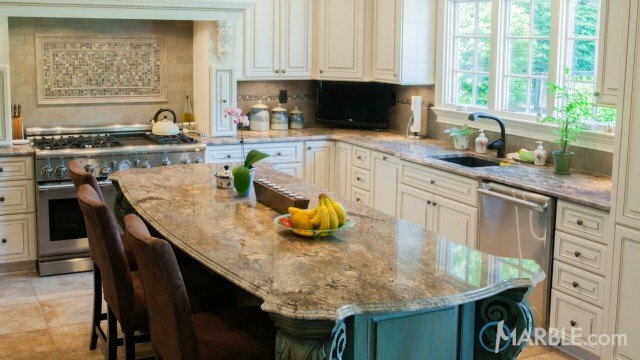 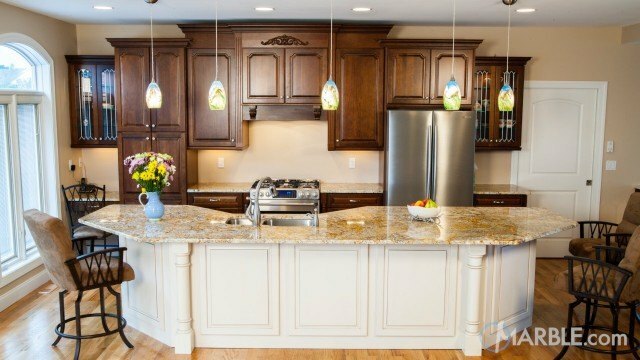 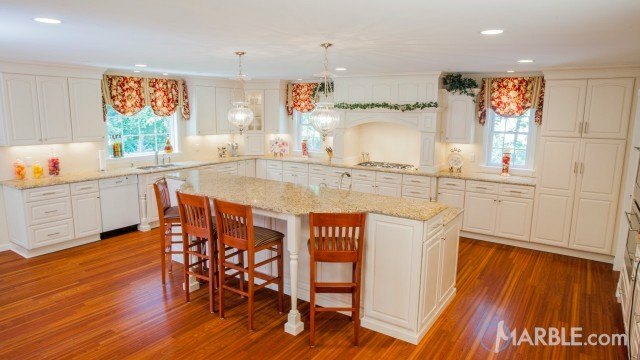 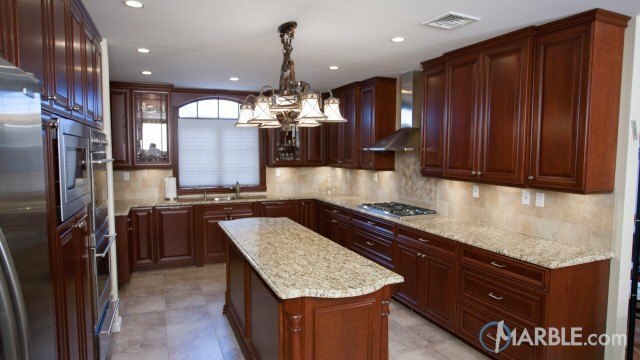 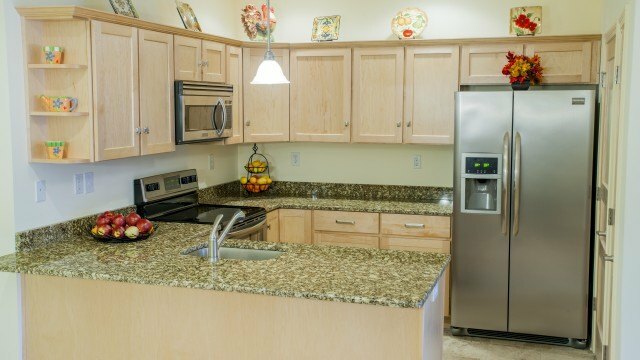 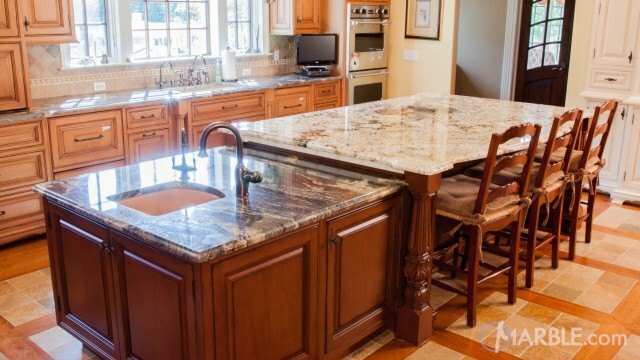 Classic wooden cabinets and stainless steel appliances play off the Colonial Gold granite to create a distinctive look. 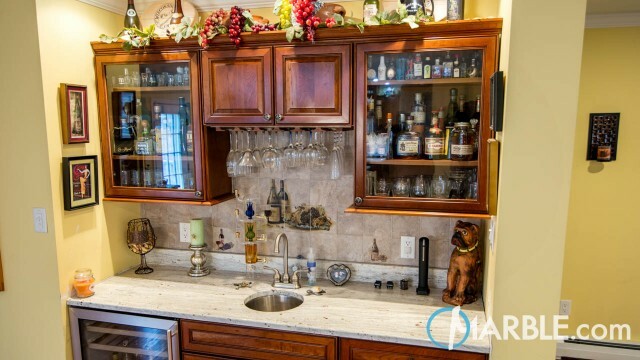 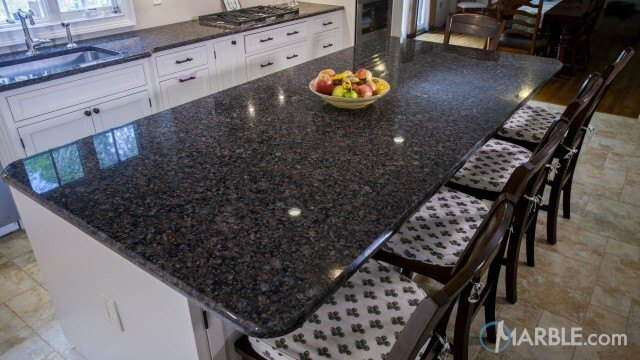 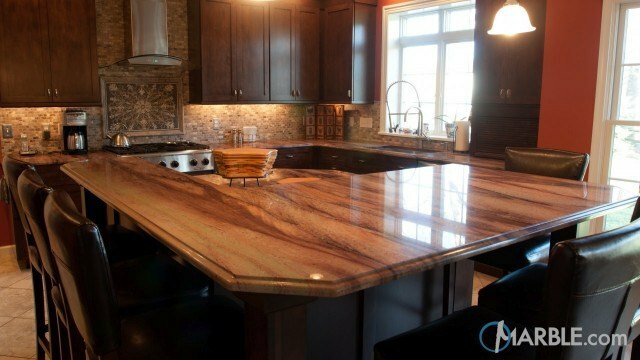 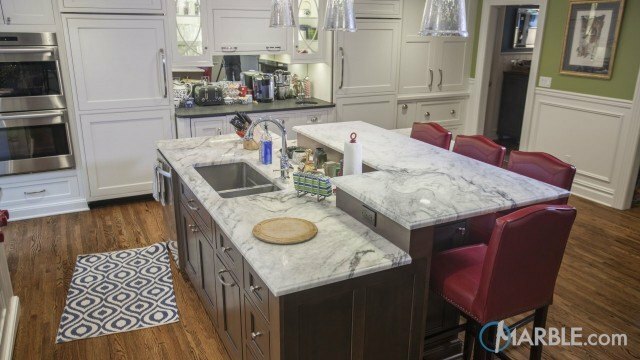 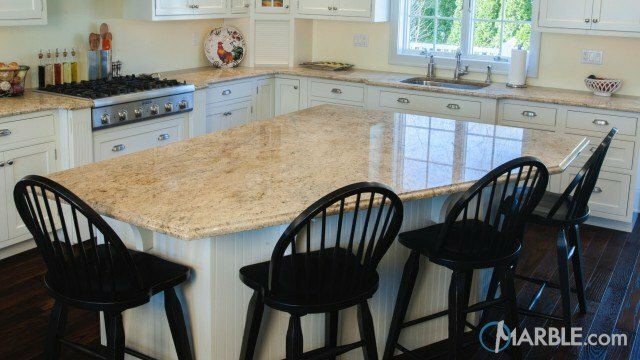 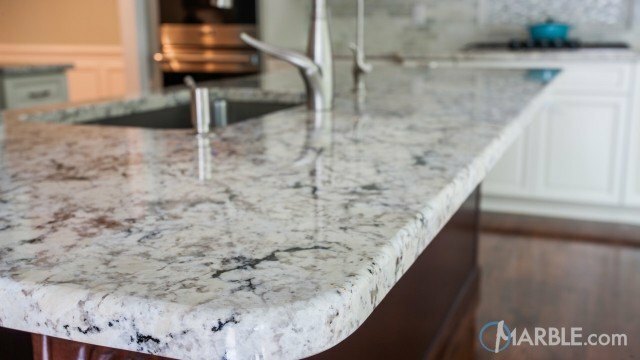 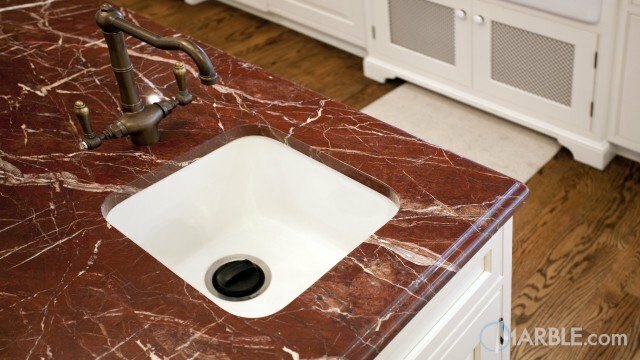 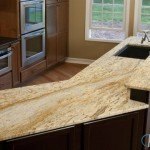 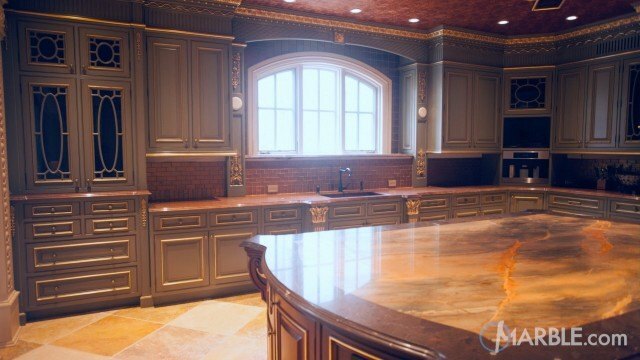 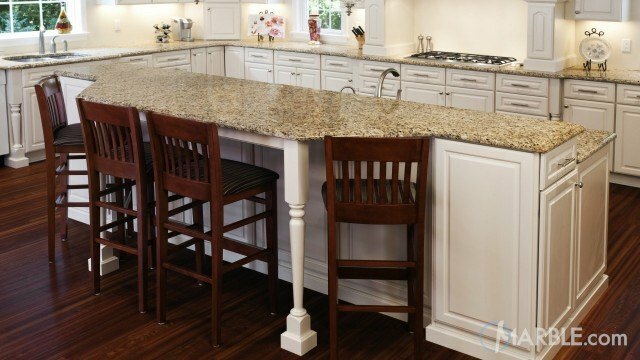 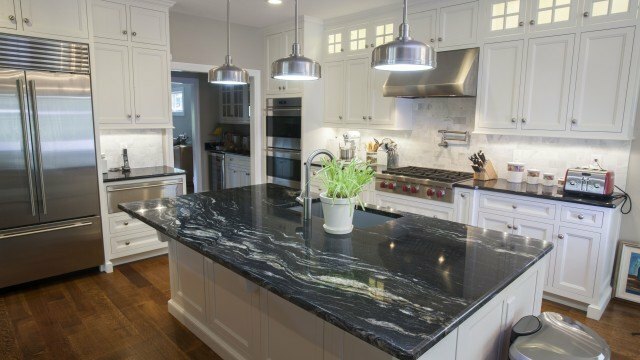 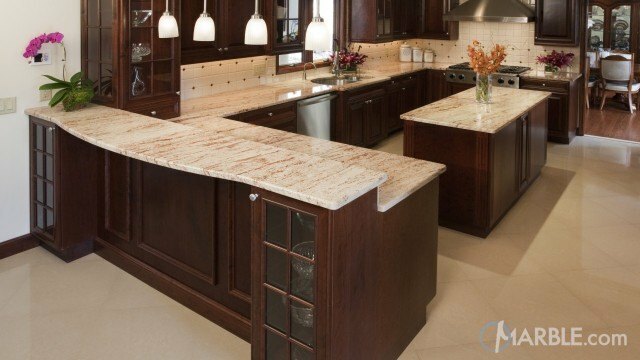 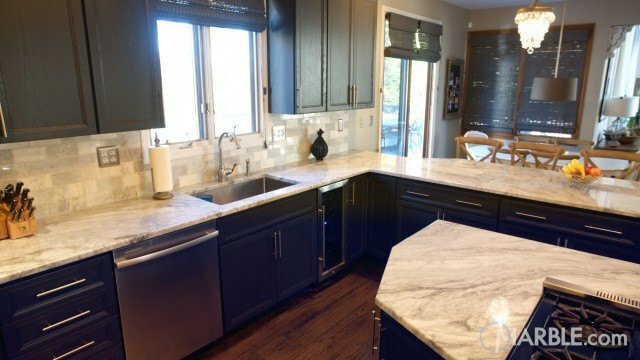 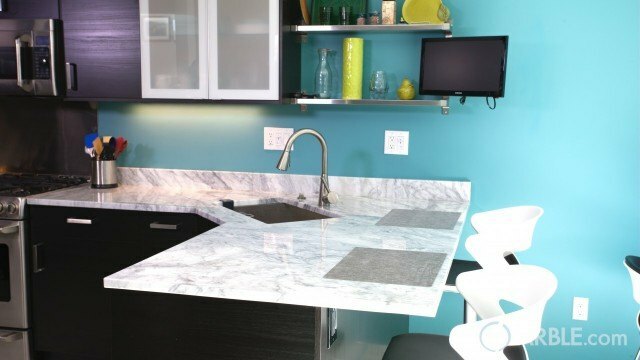 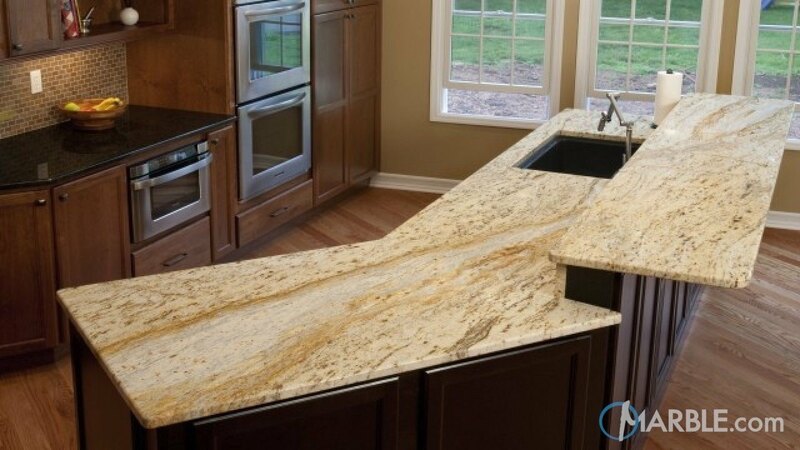 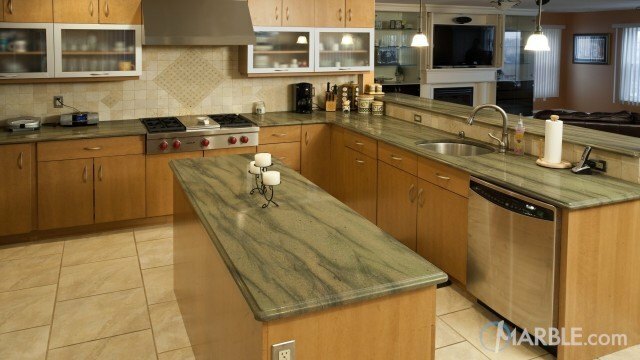 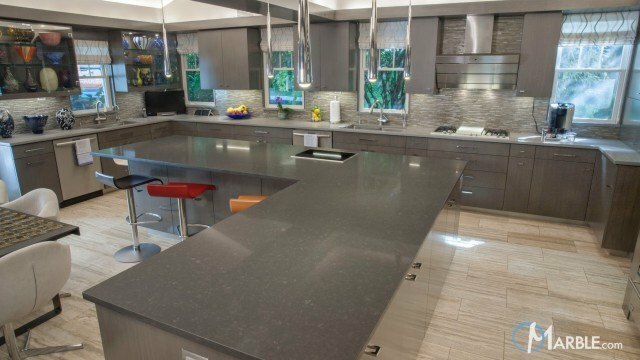 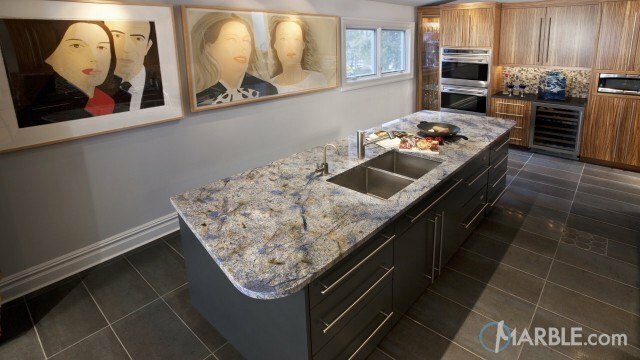 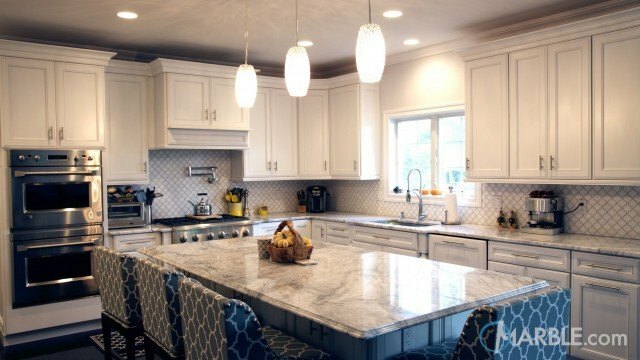 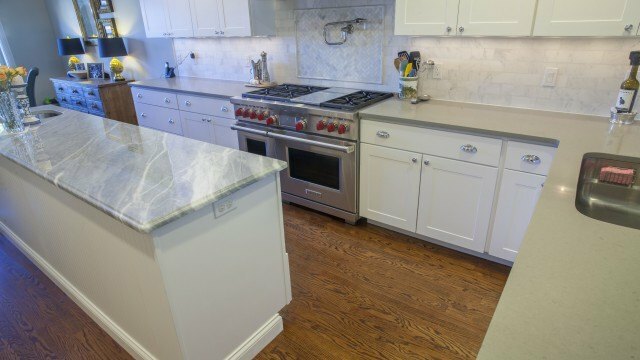 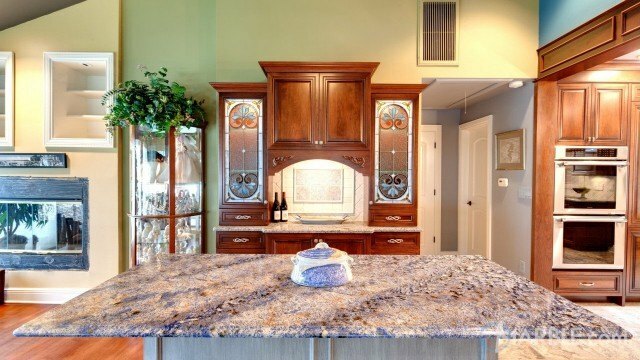 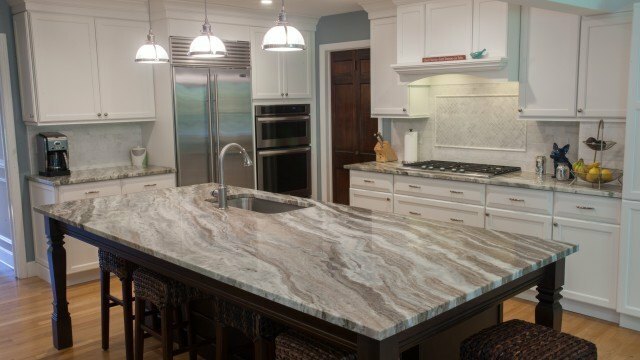 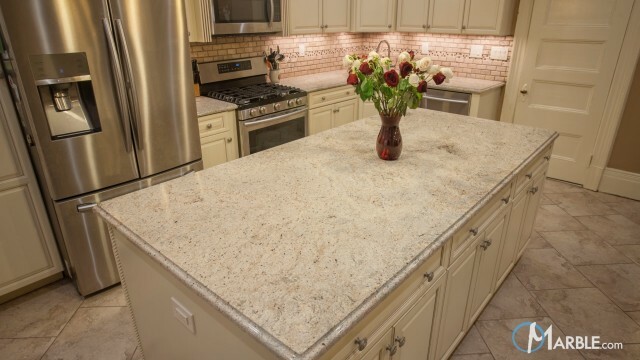 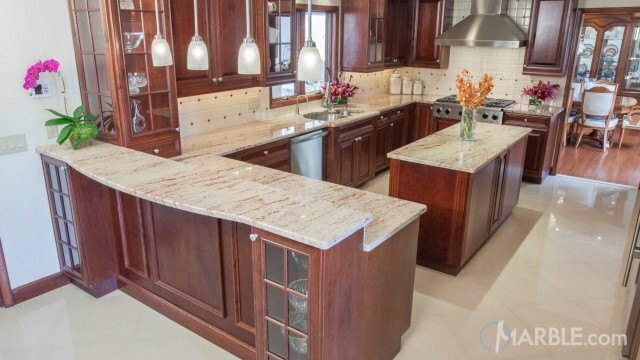 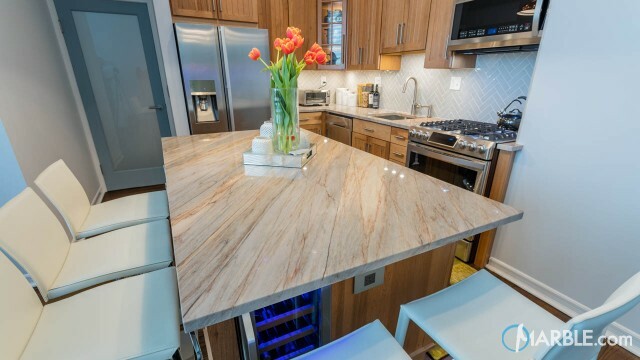 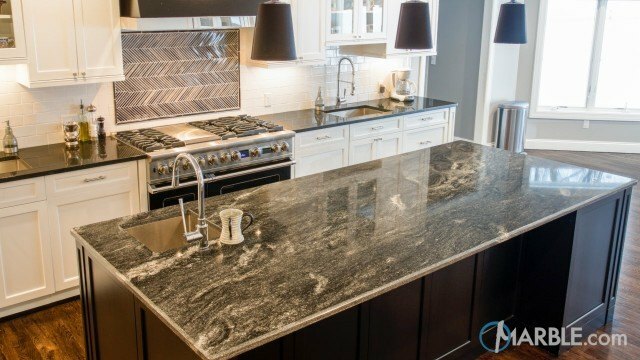 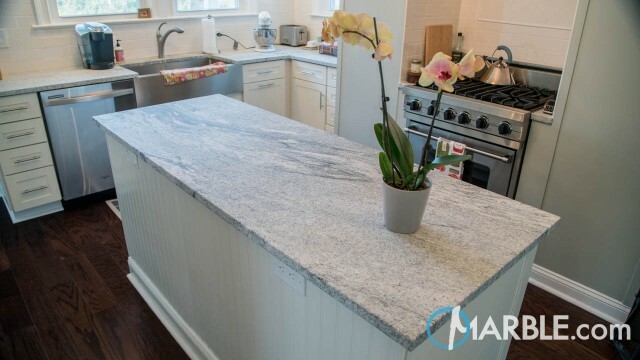 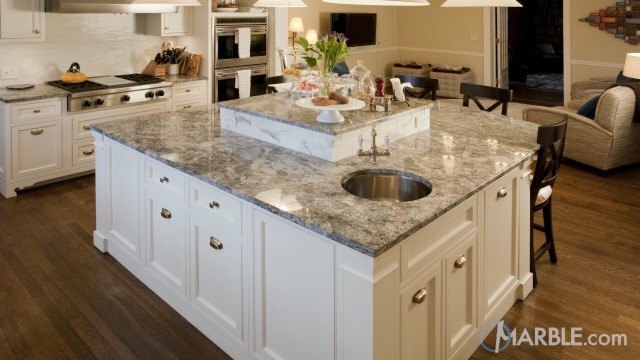 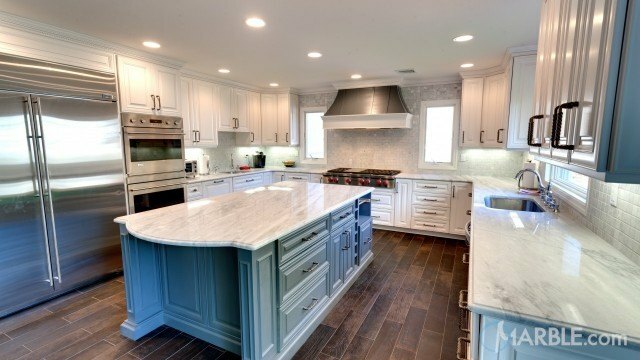 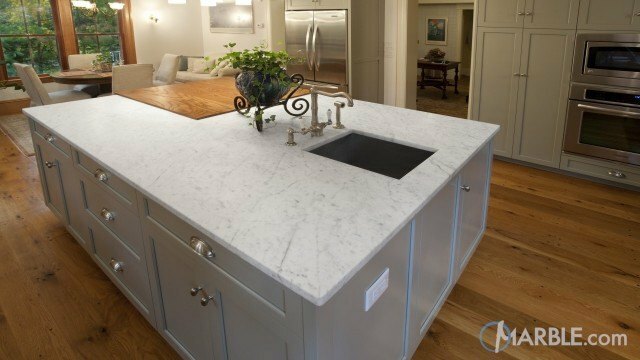 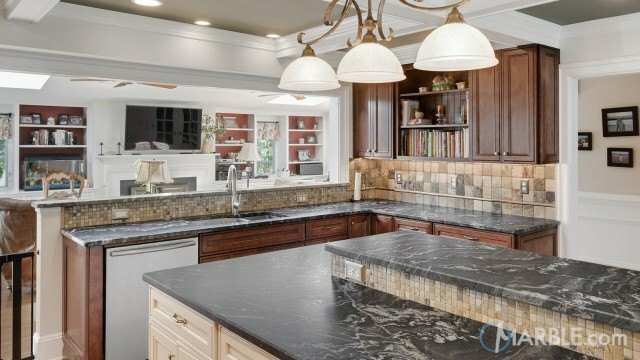 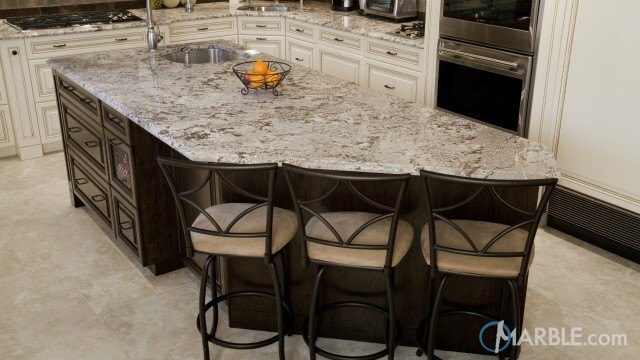 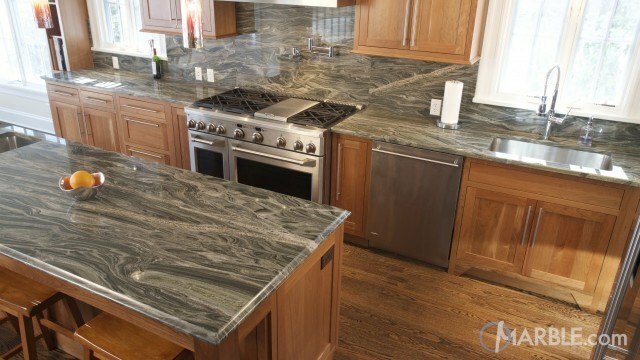 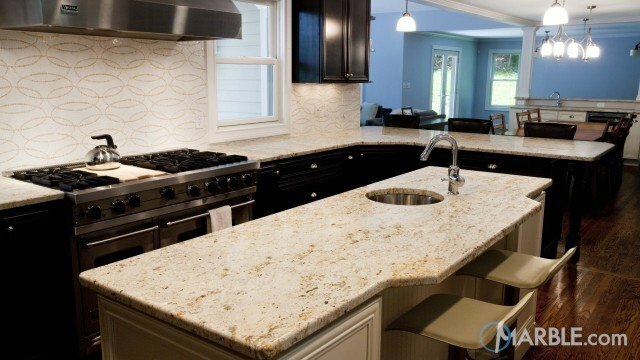 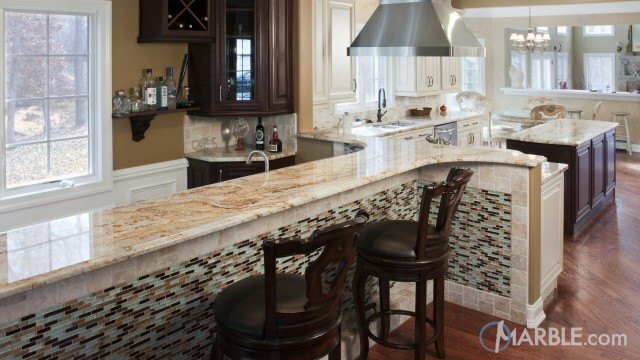 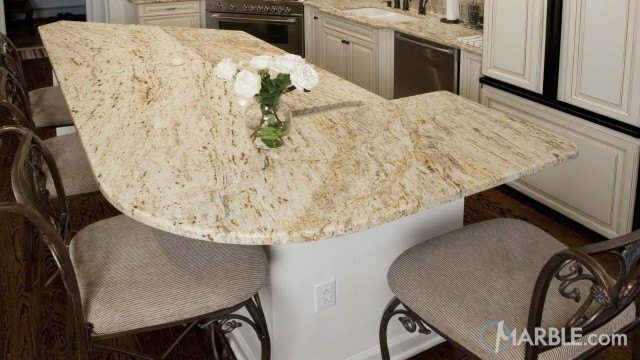 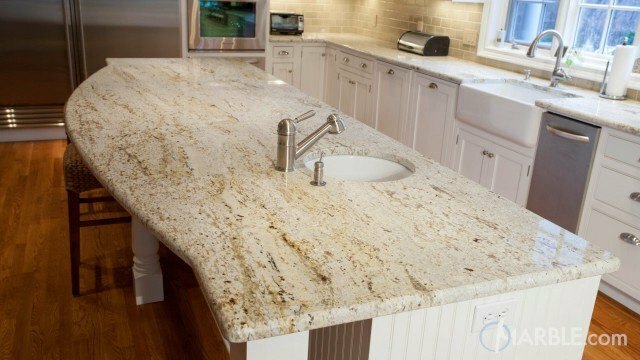 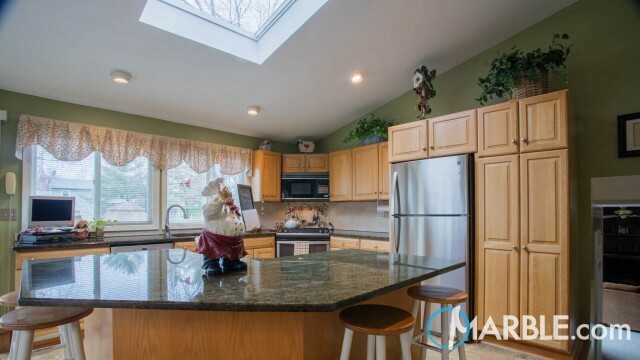 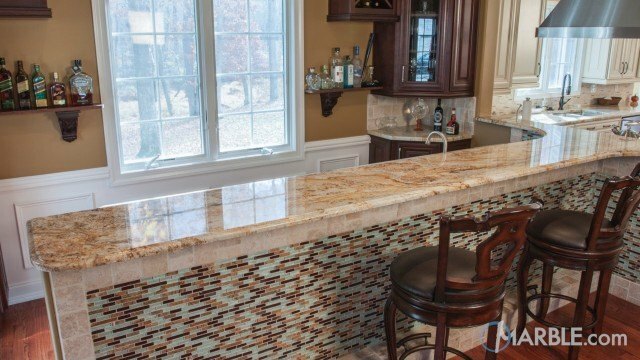 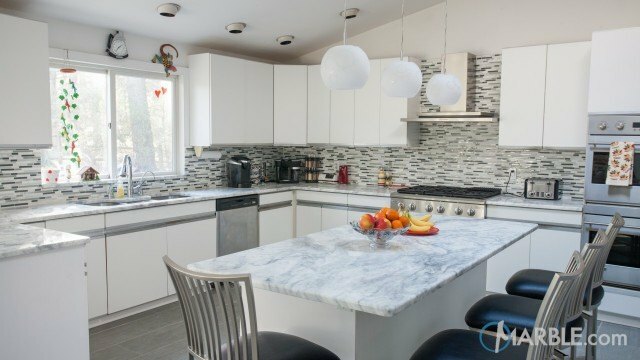 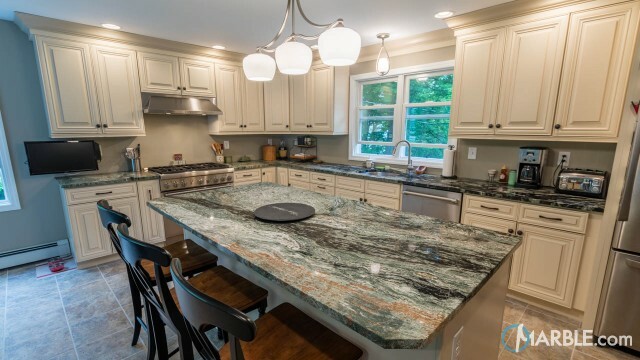 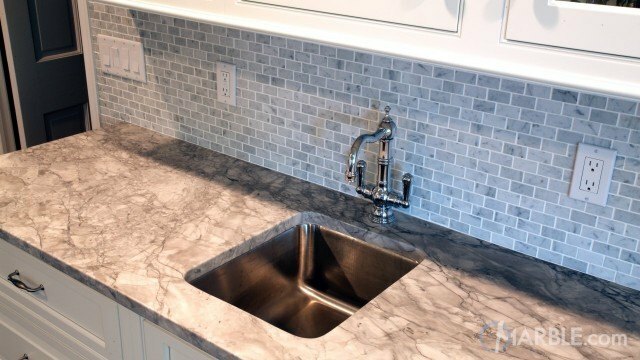 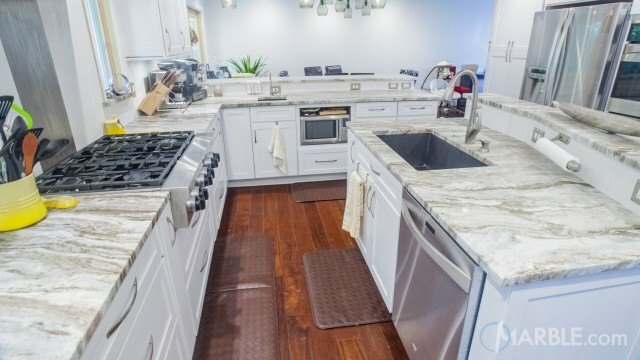 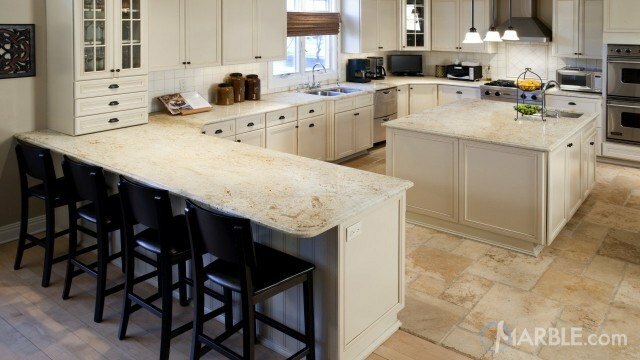 The magnificent veining in the counter top creates a visual diagonal that's sure to make a statement. 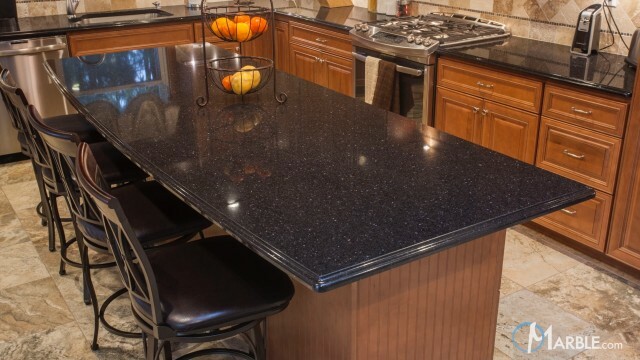 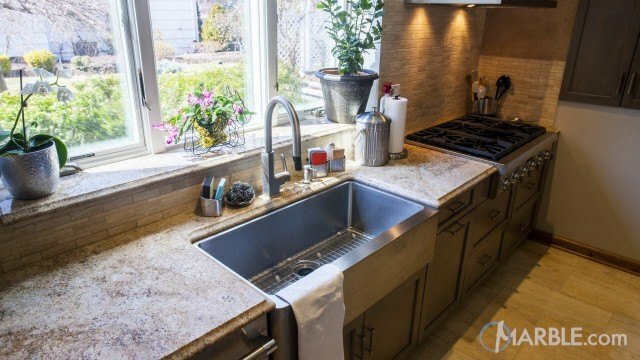 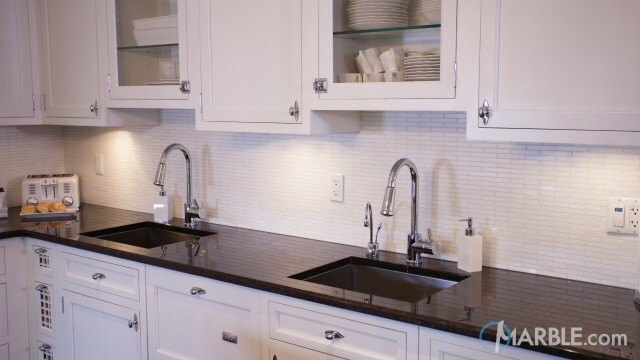 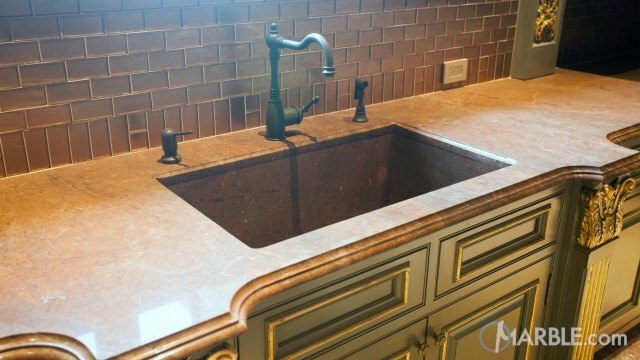 The black sink completes the look without distracting from the beautiful granite.